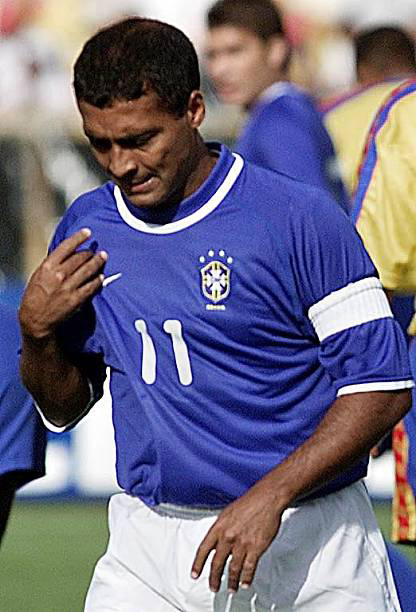 Mazinho earned 35 caps with the Brazil national team, the first coming in May 1989 in a friendly against Peru and the last during the 1994 FIFA World Cup. 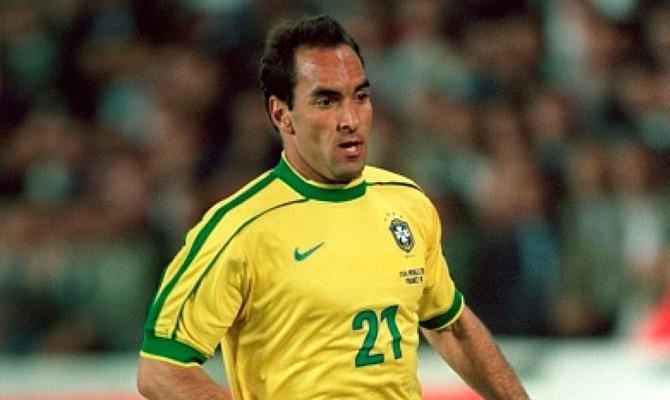 His main achievement was at the 1994 World Cup where he was the third member of the “three men and baby” celebration with Bebeto and Romário in the quarter-final win against the Netherlands, a tournament Brazil went on to win. 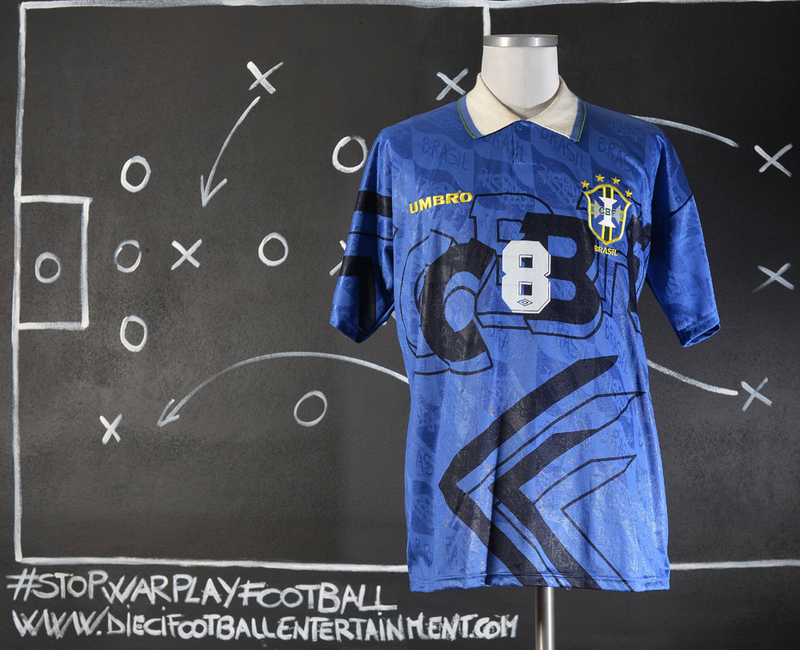 Mazinho was also a Copa América winner in 1989 at which point he was playing as a full-back. 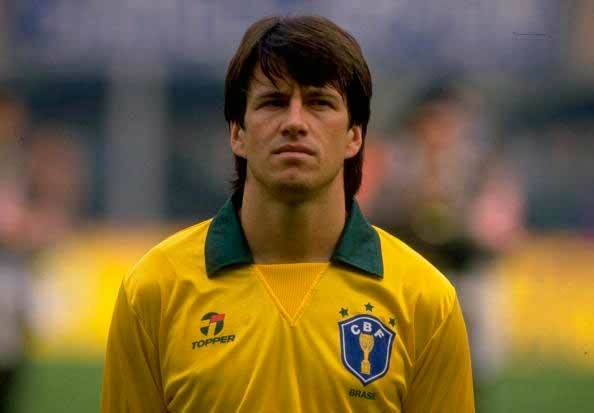 Another player nicknamed “Mazinho”, real name Waldemar Aureliano de Oliveira Filho, played for Brazil alongside the preceding player at 1991 Copa América. He was known as “Mazinho Oliveira” or “Mazinho II” to avoid confusion. The 1994 FIFA World Cup was the 15th FIFA World Cup, held in nine cities across the United States from 17 June to 17 July 1994. The United States was chosen as the host by FIFA on 4 July 1988. Despite the host nation’s lack of a national top-level soccer league, the tournament broke the World Cup average attendance record with nearly 69,000 spectators per game, a mark that still stands today. The total attendance of nearly 3.6 million for the final tournament remains the highest in World Cup history, despite the expansion of the competition from 24 to 32 teams (and from 52 to 64 games) in the 1998 World Cup. Brazil beat Italy 3–2 in a penalty shootout after the game ended 0–0 after extra time, the first World Cup final to be decided on penalties. 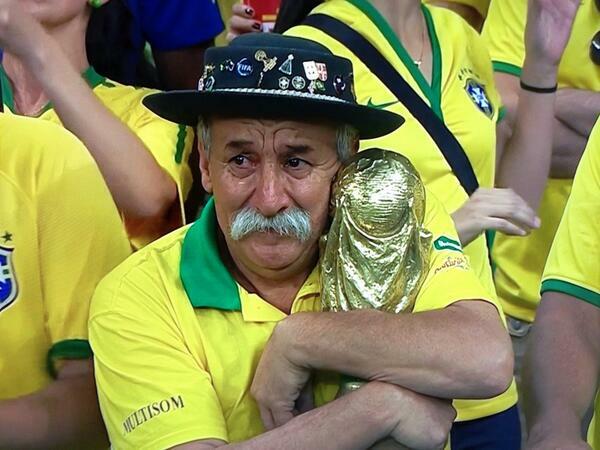 This made Brazil the first nation to win four World Cup titles. Greece, Nigeria and Saudi Arabiamade their first-ever appearances in the finals, Norway made its first appearance since 1938 and Bolivia made its first since 1950. 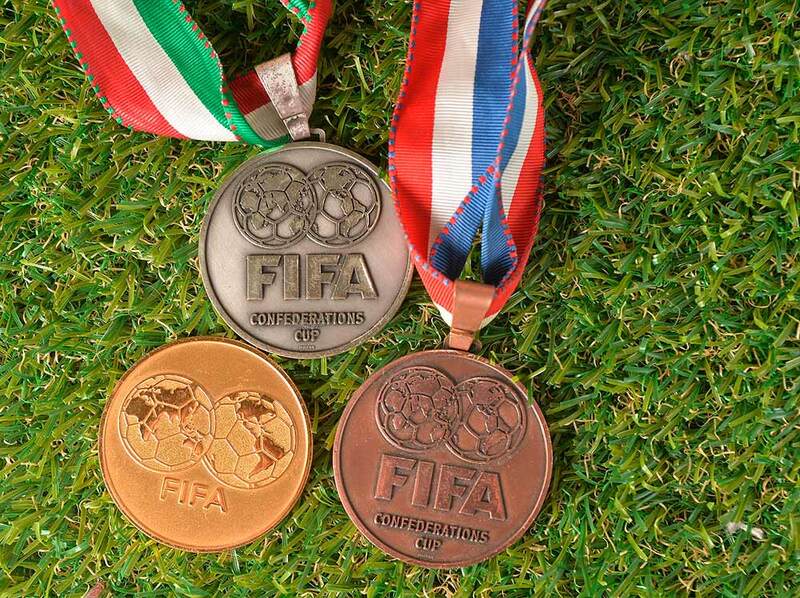 Bulgaria, Morocco and Mexico returned after missing the 1990 tournament. 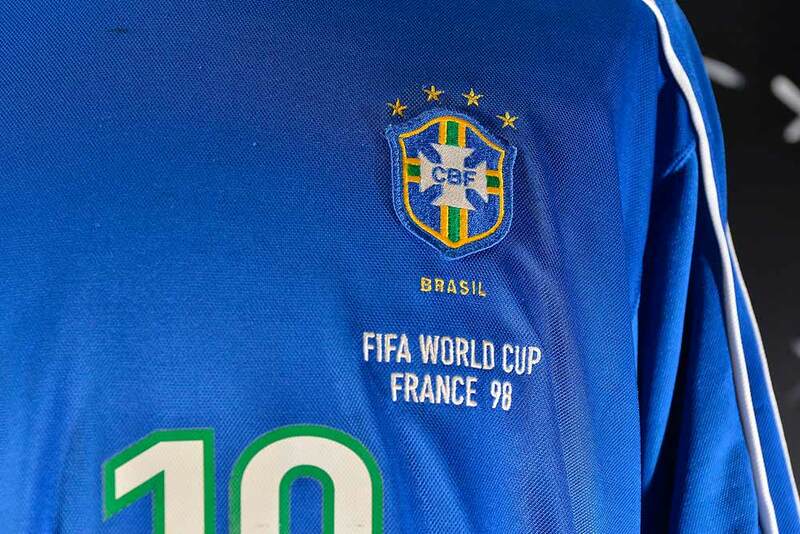 Brazil only secured a place in the Fifa World Cup “USA 94” in the last round of the Qualifiers. 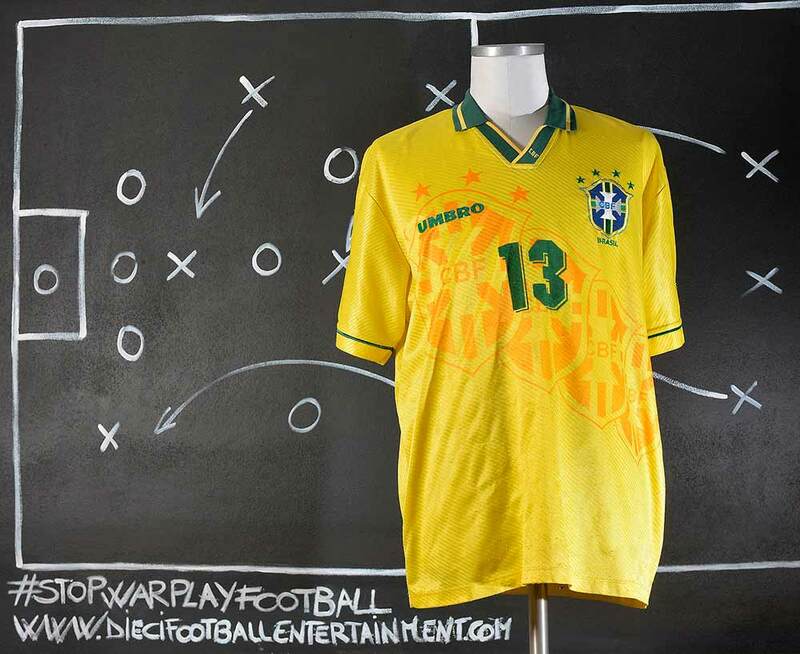 The last match would be against Uruguay, in Maracanã, on September 19th 1993. 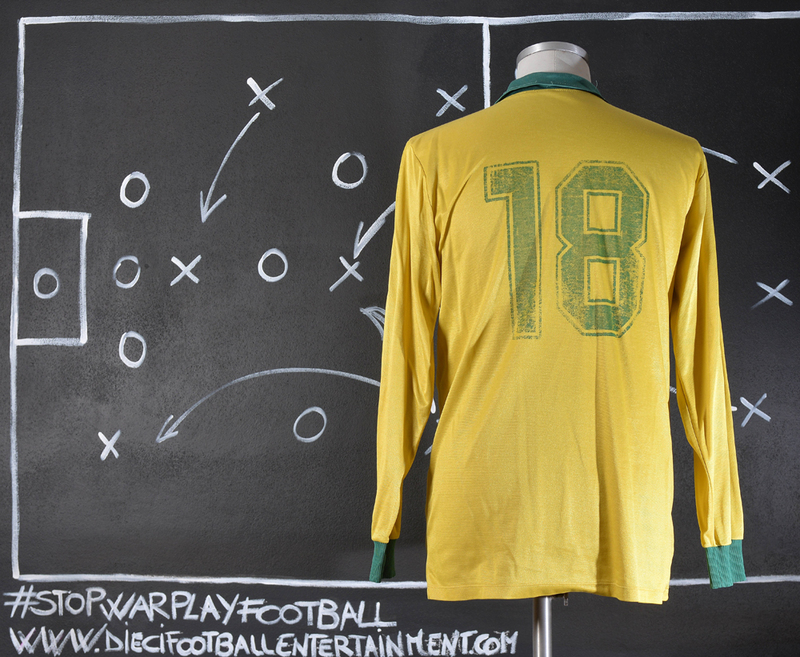 Brazil needed only a tie, and was favourite to win; however, Uruguay is always a tricky adversary, and many times had surprised Brazil (the most obvious, of course, the victory in the final match of the 1950 World Cup); one month earlier, Brazil and Uruguay had tied 1 x 1 in Montevidéo. In 1993, Romário, then aged 27, was at the peak of his career; he was an idol in Barcelona, after some successful seasons with PSV Eindhoven. 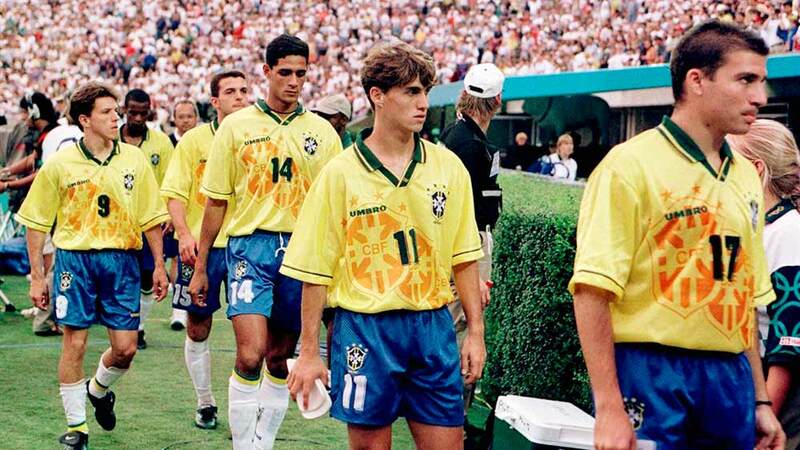 Earlier in 1993, Brazil had disputed America Cup. In a match in 1992, coach Carlos Alberto Parreira left Romário in the bench; Romário, as usual, expressed his dissatisfaction (“if I knew I wouldn’t play, I wouldn’t have come over from Spain”, he said). Parreira got very upset, and banned Romário from the Brazilian team. 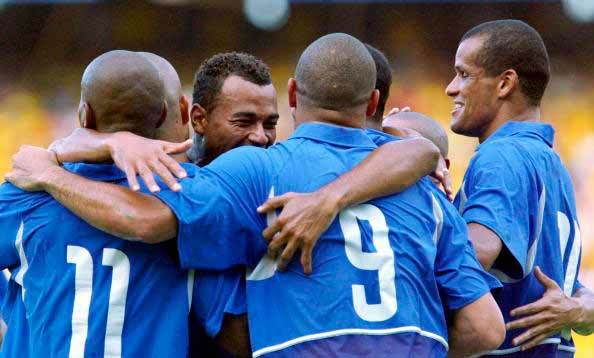 Brazil played the first seven matches of the qualifyings without Romário, while journalists and fans claimed for his presence. Before the match against Uruguay, Parreira gave up and called Romário. 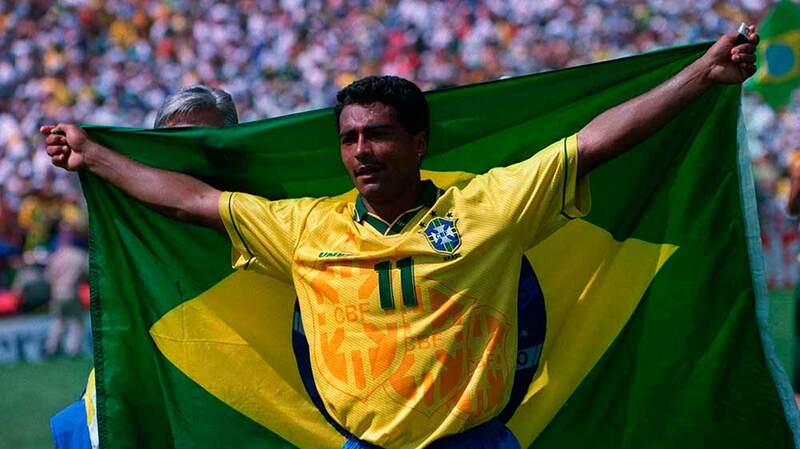 Brazil won by 2 x 0, and Romário scored the two goals. 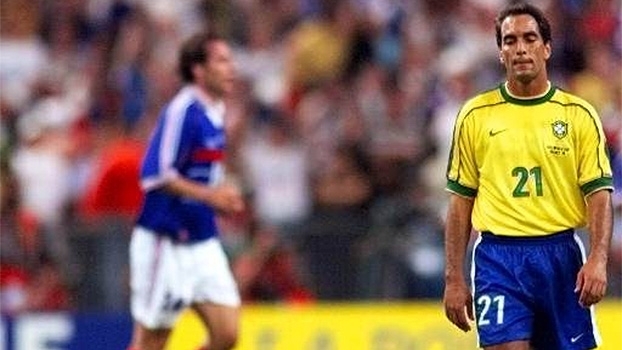 From that match on, Parreira and the Brazilians became more lenient with the lack of discipline of Romário. “Gloryland [Instrumental]” is a non-official anthem for 1994 FIFA World Cup held in the United States. With added lyrics for the World Cup occasion, “Gloryland” became a 1994 song by Daryl Hall and Sounds of Blackness. 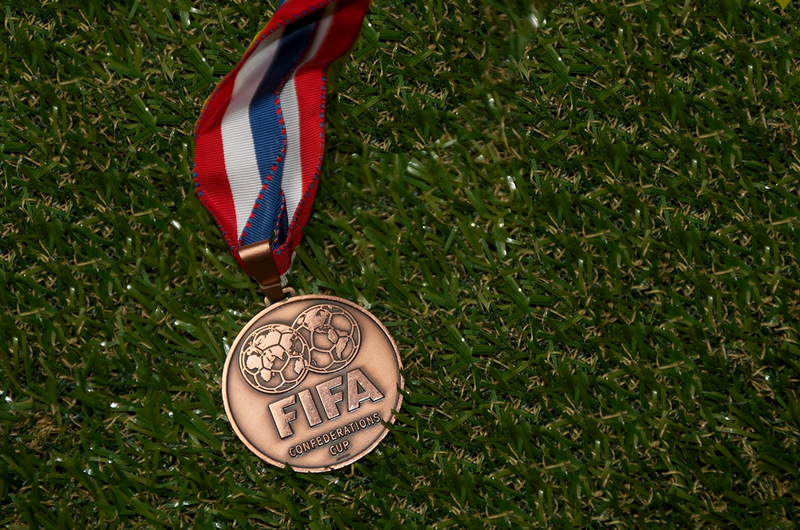 The song also appears on the official FIFA album Gloryland under the title Soccer Rocks the Globe. Daryl Hall and Sounds of Blackness also sang it at the opening ceremonies of the FIFA World Cup with lyrics. 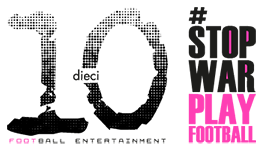 It was also used as the theme to ITV’s coverage of the tournament. 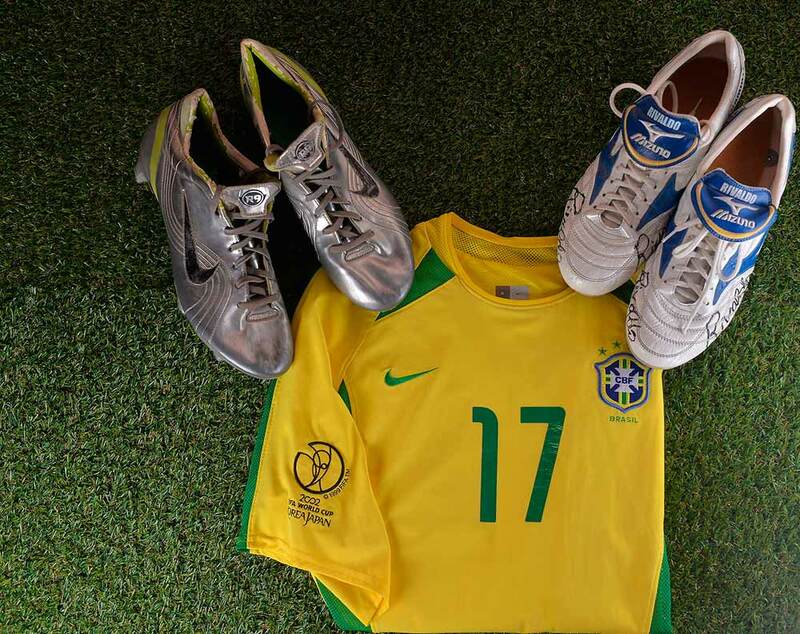 Two years after the World Cup 1994 and in the middle of the inaugural season for Major League Soccer, FIFA organized a charity match between FIFA All Stars and Brazil World Champions 1994 to raise funds for the SOS Children’s Village. 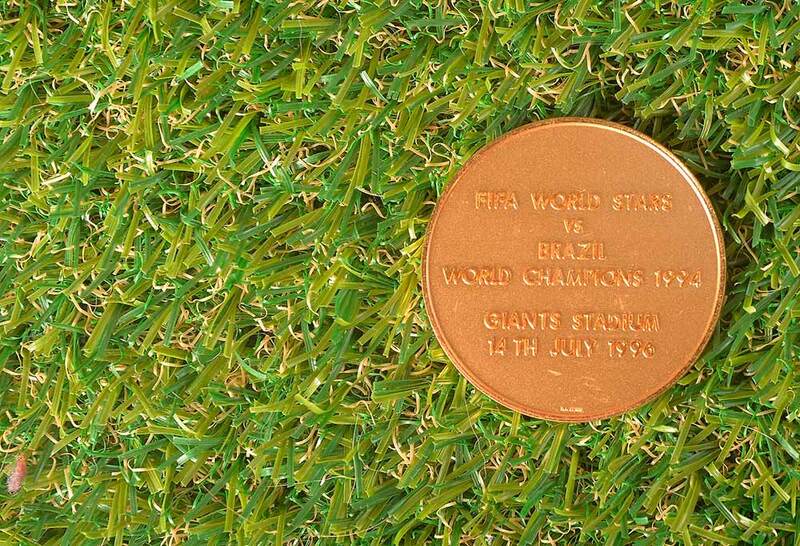 The game was played at the Giants Stadium on July 14th 1996. 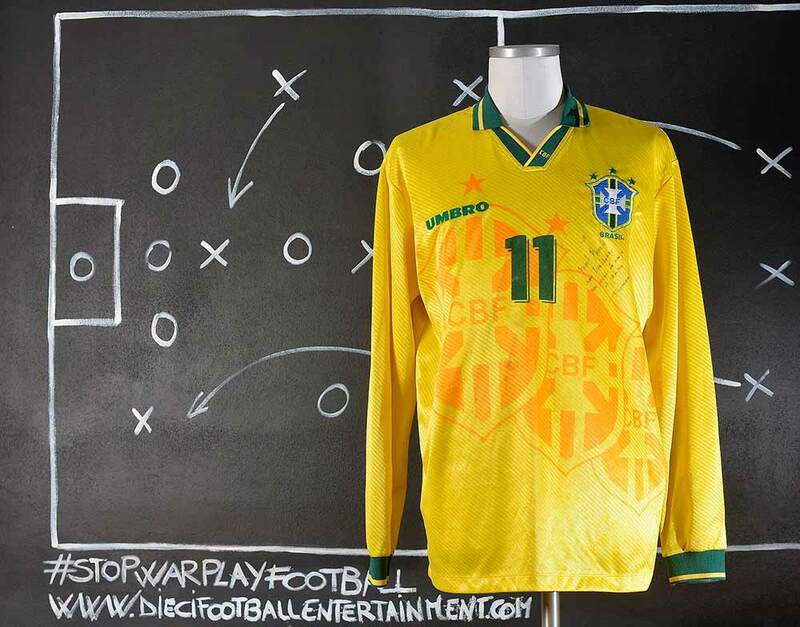 Brazil team defeated the All Stars 2-1 with Bebeto and Roberto Carlos’s goals. Bolivia hosted the Copa América for the second time in its 38th edition. It was held from June 11 to 29. It was organized by CONMEBOL, South America’s football governing body. There is no qualifying for the final tournament. All South American countries (10 countries) participate, along with two more invited countries, making a total of 12 teams competing in the tournament. 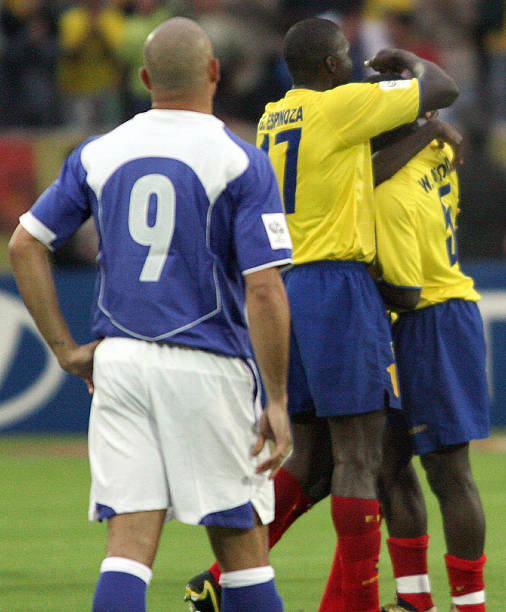 In the 1997 edition, Costa Rica and Mexico were the invitees. 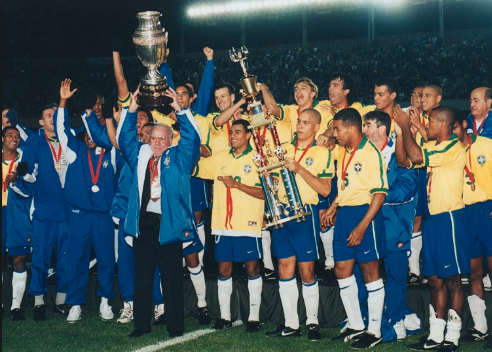 The tournament was won by Brazil, who became the first team to hold the Copa América and the World Cup at the same time, a feat they would repeat in 2004. 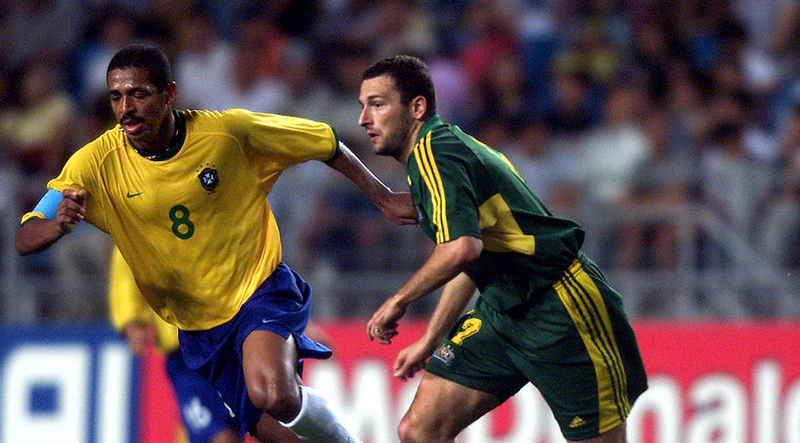 Bilica was a member of the Brazil Olympic team at the 2000 Summer Olympics in Sydney where he reached the quarter finals, Brazil lost to Cameroon at the quarter finals. 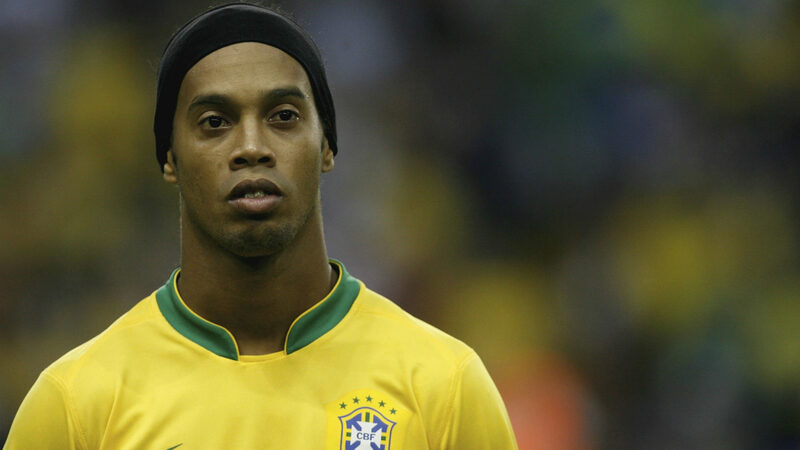 He played in the Olympic team alongside much more famous players as Ronaldinho, Lúcio and Fábio Aurélio. 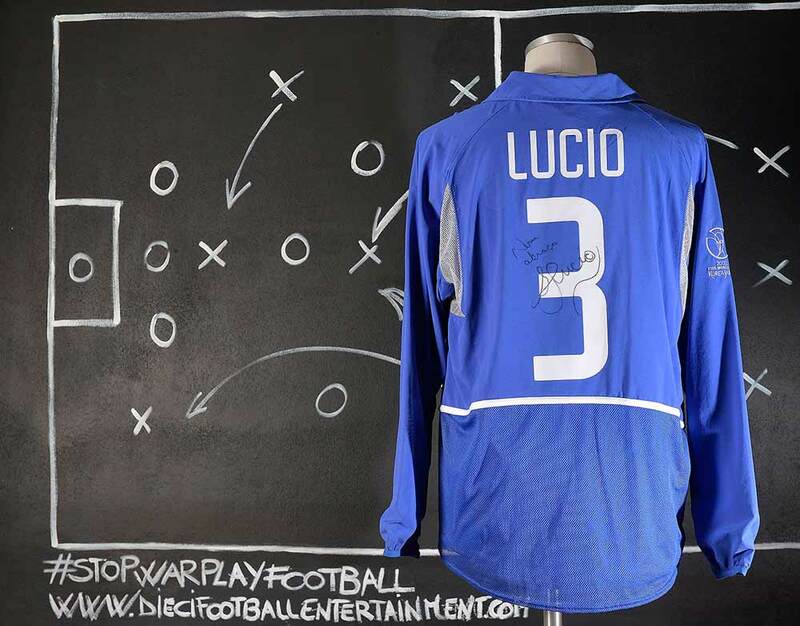 Bilica is infamous for his statement during his time at Venezia when he claimed that he would break the legs of Roberto Baggio, who was playing for Brescia at that time. Baggio wound up getting injured and stayed on the sidelines for several months. While playing for Venezia during the 1999–2000 Serie A season, Bilica replaced the goalkeeper who had been sent off and then proceeded to save a penalty from A.C. Milan striker Andriy Shevchenko. 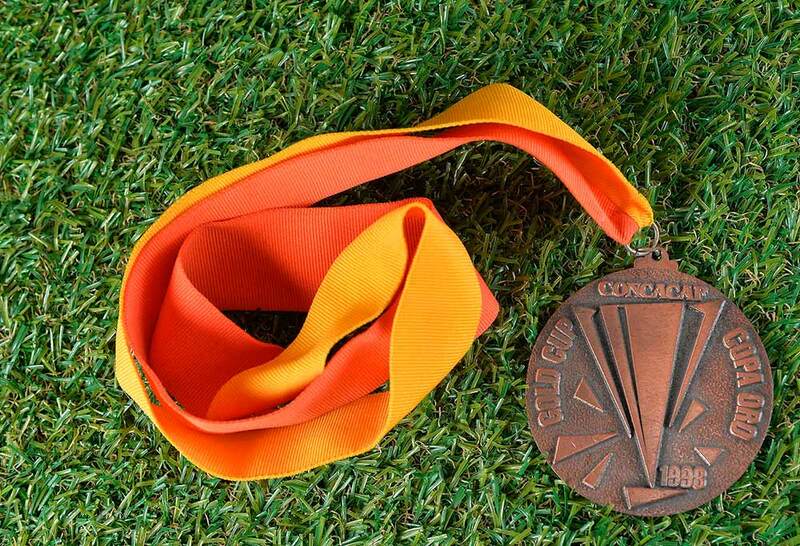 The 1998 CONCACAF Gold Cup was the fourth edition of the Gold Cup, the Association football championship of North America, Central America and the Caribbean (CONCACAF). The tournament was once again held in the United States, in Los Angeles, Miami, and Oakland. 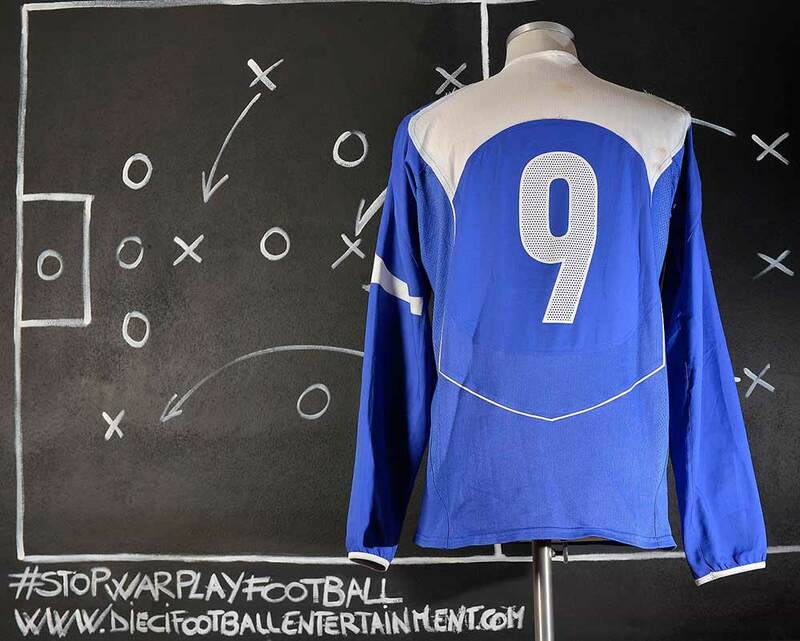 The format of the tournament changed from 1996: it was expanded to ten teams, with four in Group A and three each in Groups B and C. The top team in each group, plus the second place in Group A would advance to the semifinals. Brazil was invited again, and brought their senior team this time. Jamaica, getting ready for the 1998 World Cup, pulled the stunner of the first round. They did not originally qualify for the tournament, but Canada withdrew, granting them a spot. Jamaica then topped Group A over Brazil (they tied the South Americans 0–0). 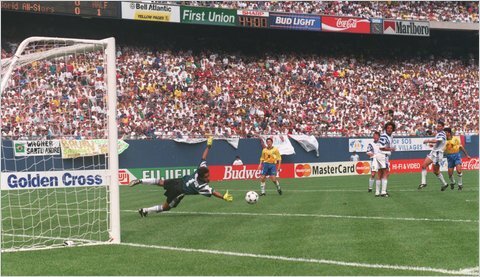 In the semi-finals, the United States beat Brazil, as Preki scored the lone goal and Kasey Keller preserved the clean sheet. The United States could not repeat that performance in front of a pro-Mexican final crowd in Los Angeles. 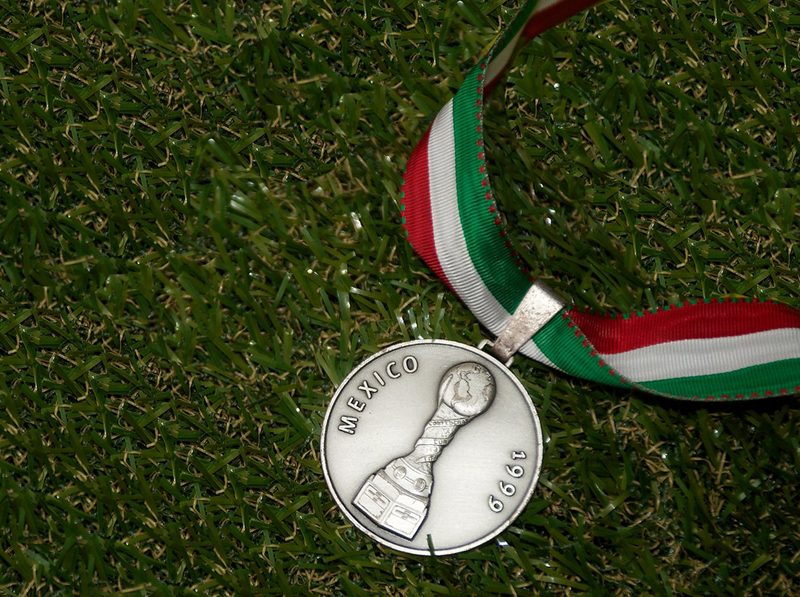 Mexico won their third straight Gold Cup, 1–0, on a Luis Hernández goal. 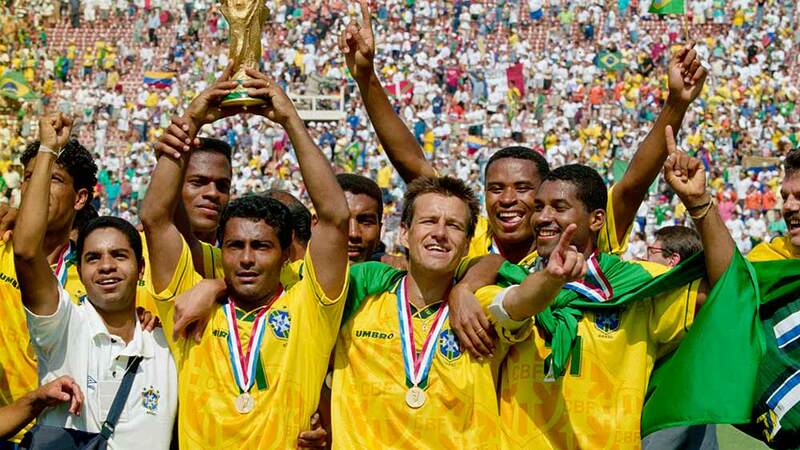 Brazil won the Bronze medal against Jamaica with a Romario’s goal. 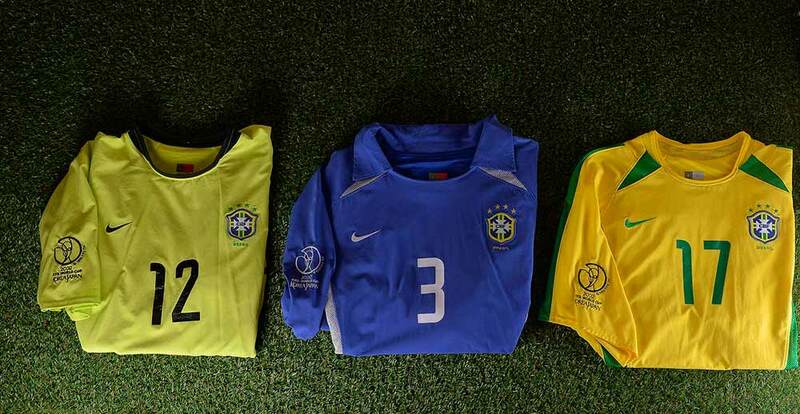 Brazil were drawn in Group A for the group stages alongside Scotland, Morocco and Norway. They recorded victories over Scotland (2–1) and Morocco (3–0) to progress but lost their final game 2–1 to Norway. They next faced Group B runners-up Chile in the last-16 and comprehensively won 4–1, Ronaldo and César Sampaio each scoring twice. In the quarter-finals, they played Denmark, who had also won their previous game 4–1 (against Nigeria), but Brazil won a tight game 3–2. 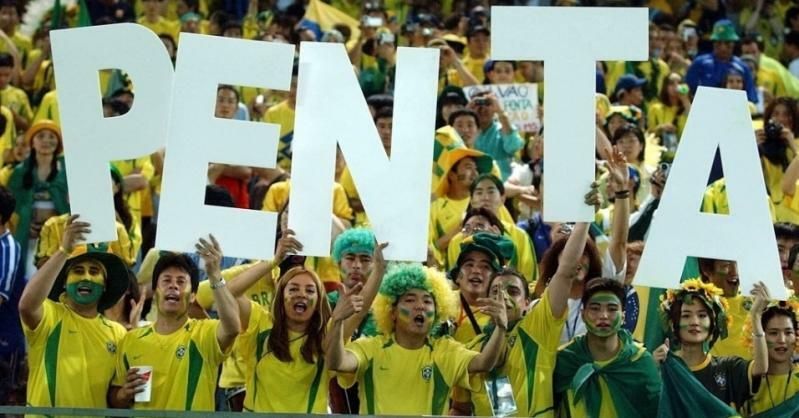 Despite being 1–0 down to a Martin Jorgensen goal in the second minute, Brazil turned the game around in their favour with goals from Bebeto (11) and Rivaldo (27). Brian Laudrup equalised for Denmark after 50 minutes but Brazil won the game 10 minutes later courtesy of a second from Rivaldo. In the semi-finals, Brazil faced the Netherlands in Marseille. The game finished 1–1 at full-time, Ronaldo scoring just after half-time and Patrick Kluivert equalising for the Netherlands in the 87th minute, and the score remained the same through extra-time. 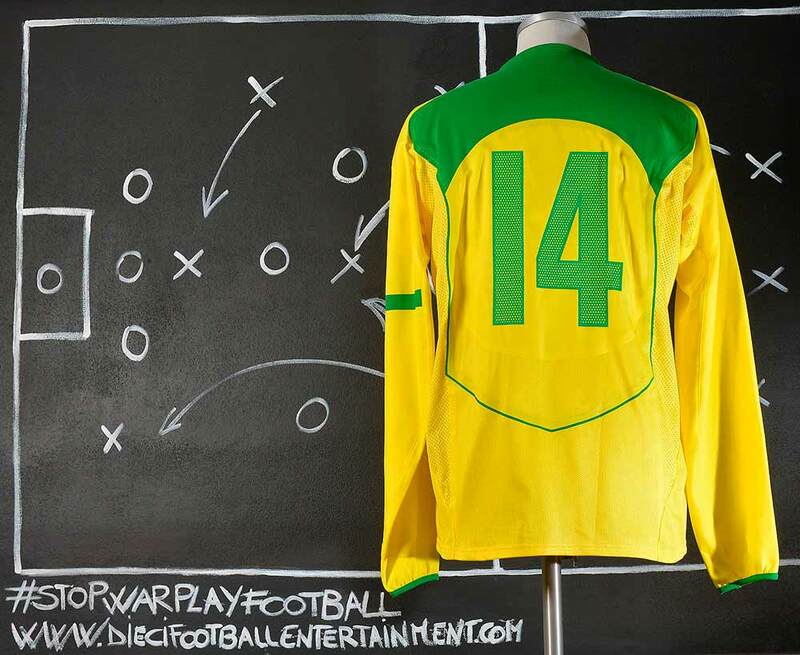 The match had to be settled by penalties which Brazil won 4–2 to reach their second successive World Cup final. The 1998 FIFA World Cup Final was a football match that was played on 12 July 1998 at the Stade de France in Saint-Denis to determine the winner of the 1998 FIFA World Cup. 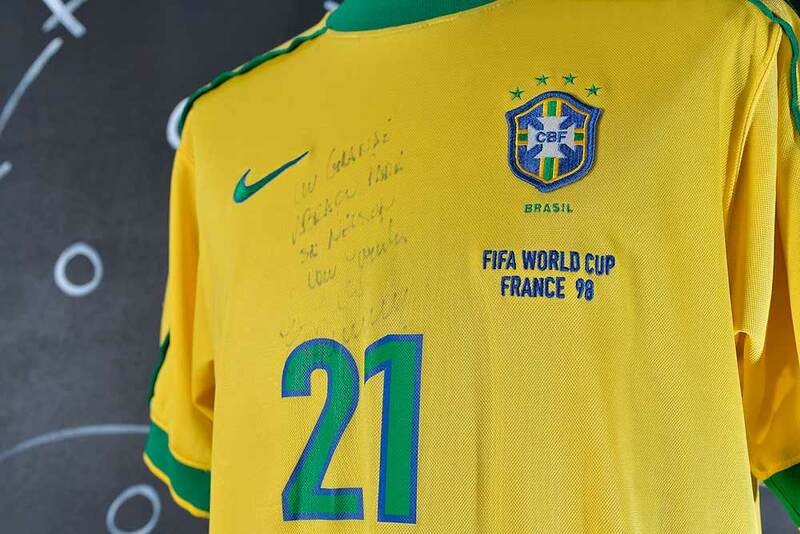 The final was contested by Brazil, who were the defending champions having won the previous FIFA World Cup four years earlier in 1994, and the host nation France, who had reached the final of the tournament for the first time. France won the match 3–0 to claim the World Cup for the first time, with the timing of the match two days before Bastille Day adding to the significance of the victory. Zinedine Zidane, who was named man of the match, scored twice before half-time and Emmanuel Petit added a third goal in the last minute. The match had an attendance in the region of 75,000. The match also saw speculation on the condition of the Brazilian striker Ronaldo, who suffered a convulsive fit on the eve of the match. After initially being left out of the team sheet, in spite of his physical state, it was announced just 72 minutes before kick-off that he was going to play. In the match, he sustained an injury in a clash with French goalkeeper Fabien Barthez. Although it was believed that the decision to play Ronaldo had backfired, it was understandable as the player had been a crucial member of the side throughout the tournament, having scored four goals and created three more. 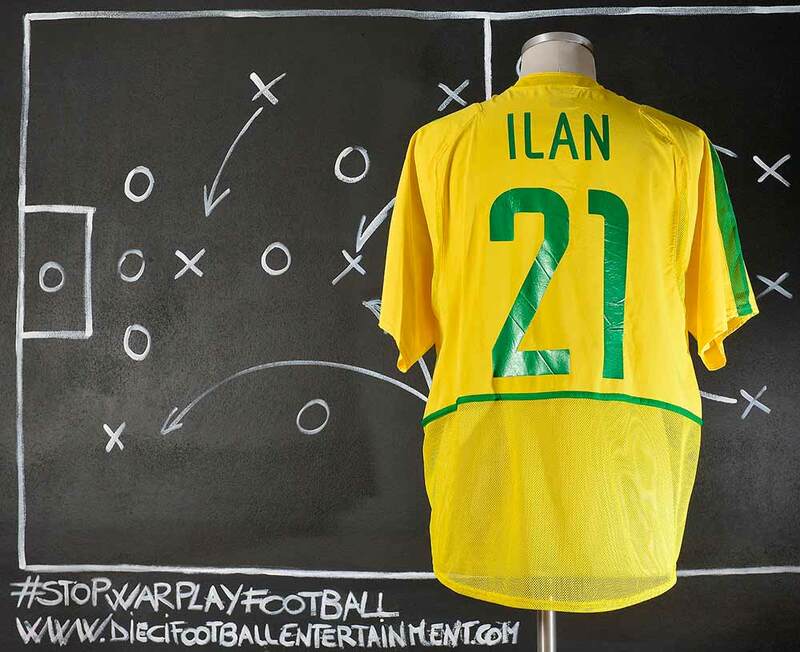 In 1993, he debuted for the Brazil national football team, scoring the only goal in a friendly match against Mexico. 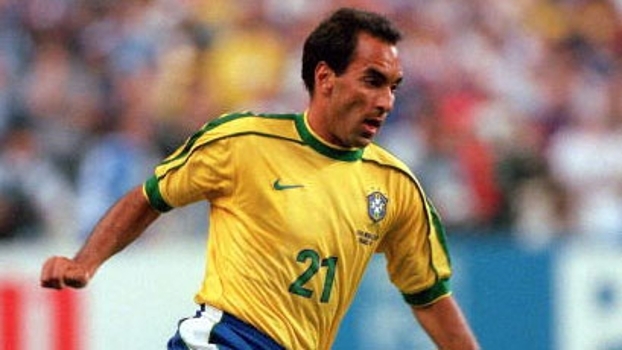 He was selected to represent Brazil at the 1996 Summer Olympics. 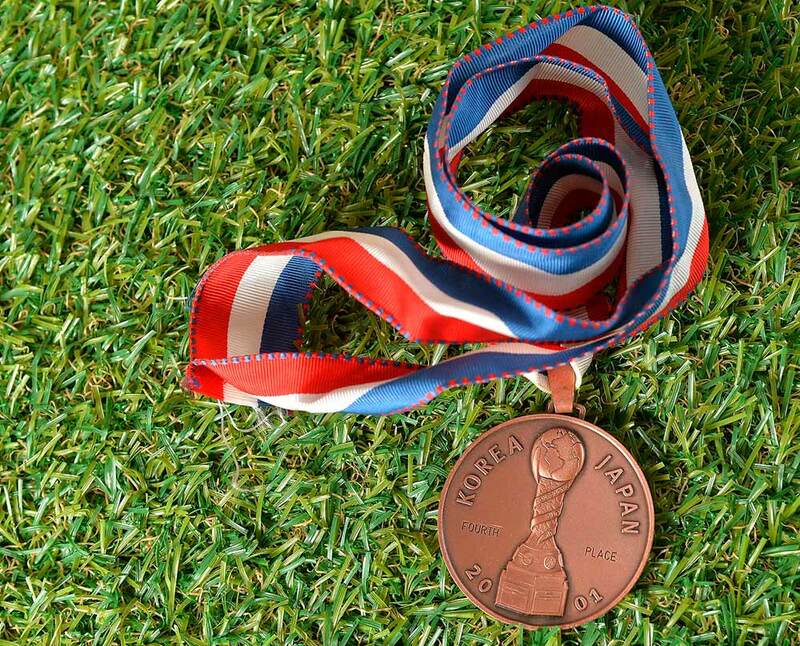 The Brazilian team won the bronze medal, but Rivaldo was not selected for the third place playoff. 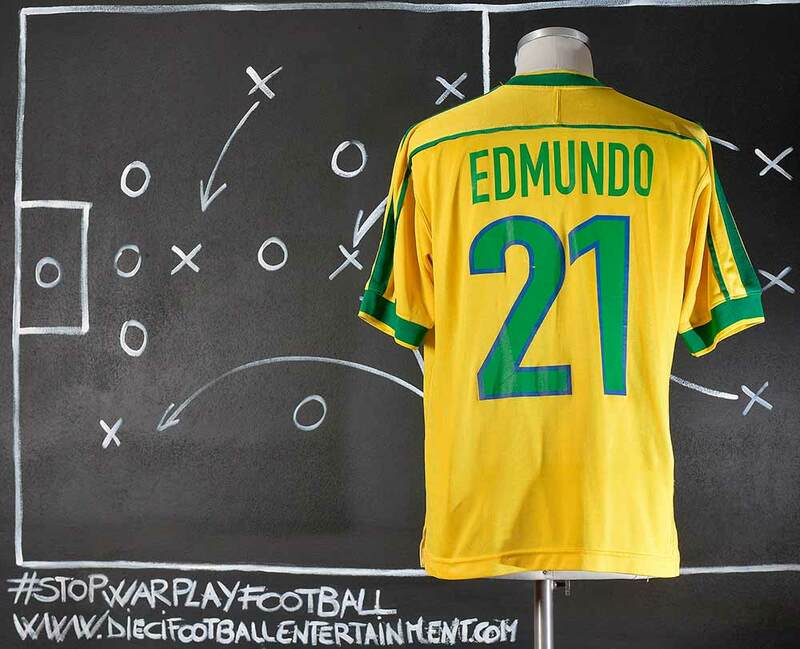 Rivaldo returned to the Brazilian national team for the 1998 FIFA World Cup, where he scored three goals en route to the final, including two in the 3–2 quarter-final win against Denmark. 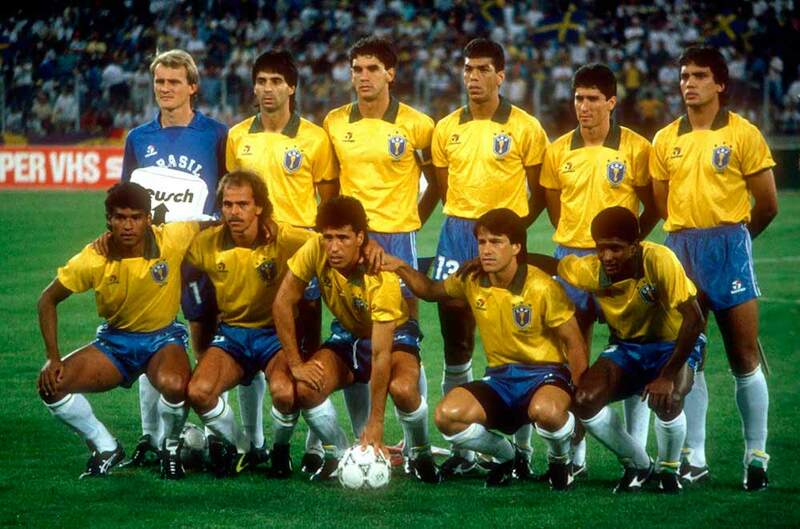 Brazil were defeated 3-0 by hosts France in final, failing to defend their 1994 title. 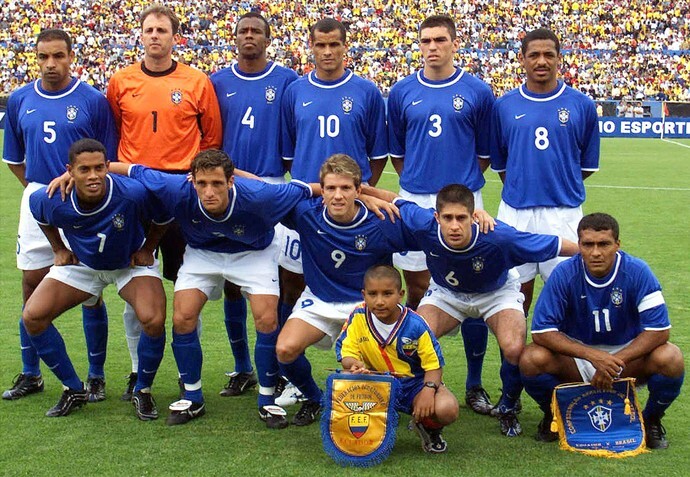 Rivaldo had not been a part of the victorious Brazilian team at the 1997 Copa América tournament, but was part of the successful defence of that title at the 1999 Copa América. 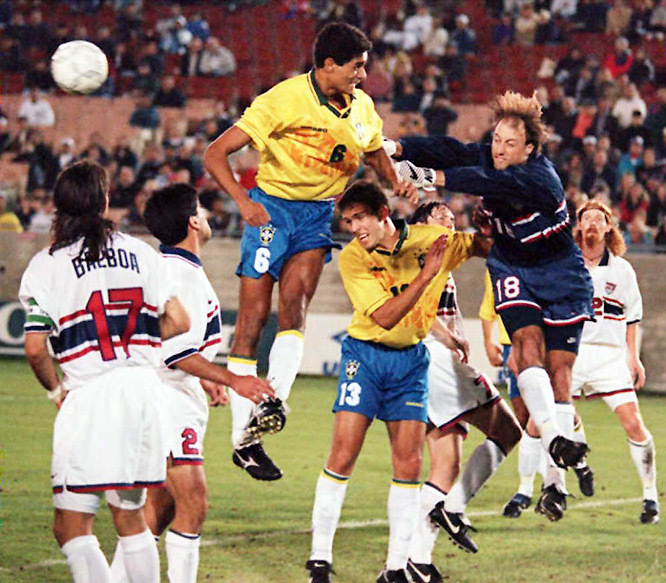 Rivaldo finished the tournament as the top scorer, with five goals; one being an equaliser from a free-kick in a 2–1 win over Argentina in the quarter-finals, and two in the 3–0 victory over Uruguay in the final. He was named the Most Valuable Player of the tournament. 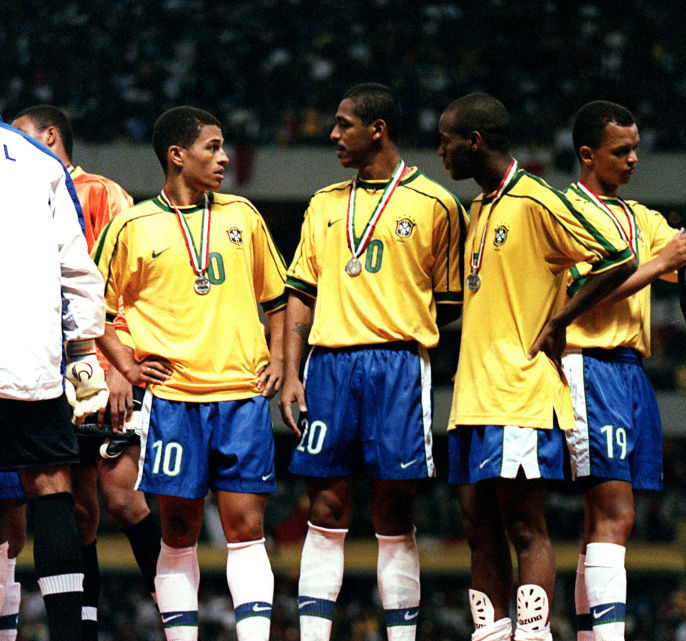 Rivaldo had been the centre of criticism when Brazil did not win tournaments, ever since the 1996 Olympics. 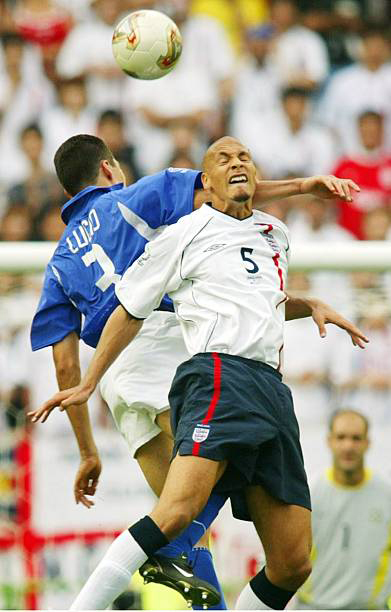 In the 1–0 win against Colombia in November 2000, Rivaldo was booed so heavily that he threatened to retire from playing for his country. The 1999 Copa América was a football tournament held in Paraguay, from June 29 to July 18. 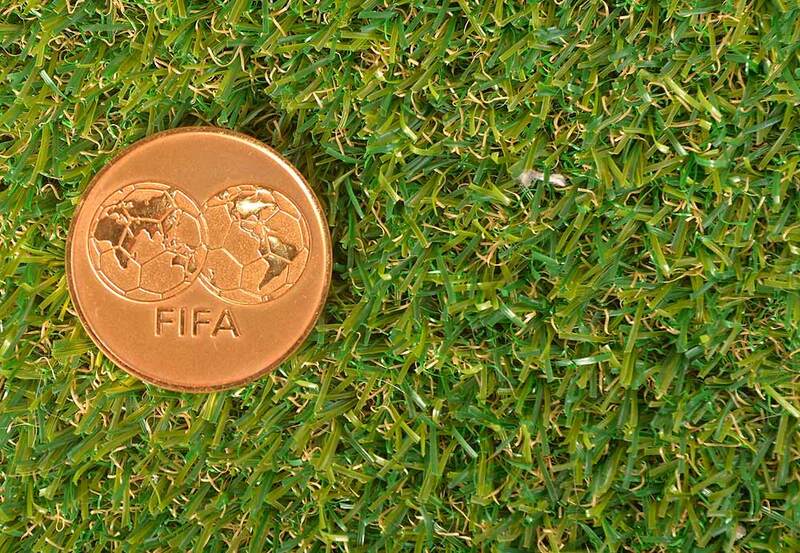 It was organized by CONMEBOL, South America’s football governing body. Due to the low number of entrants, there is no qualifying for the final tournament. Japan became the first non-American team to participate. Uruguay sent a youth team. The Final was held on July 18, 1999, in Asunción. Brazil won the match against Uruguay 3–0. 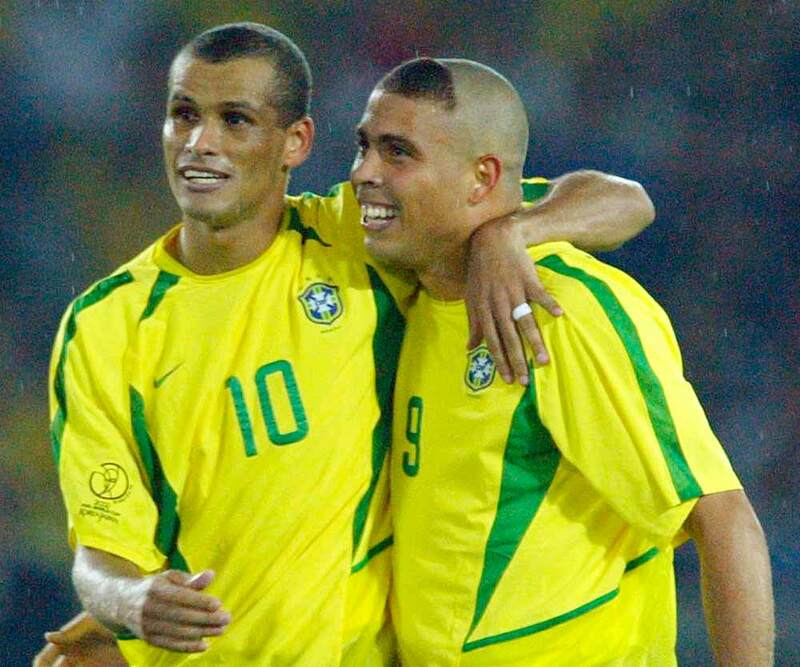 This was the sixth Copa América won by Brazil and Ronaldo was the top goalscorer. 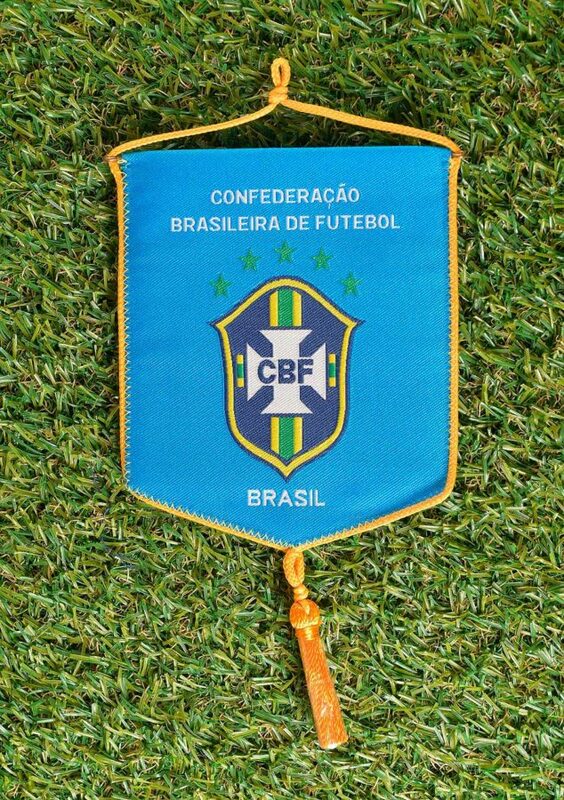 The 1999 FIFA Confederations Cup was the fourth FIFA Confederations Cup, and the second organized by FIFA. 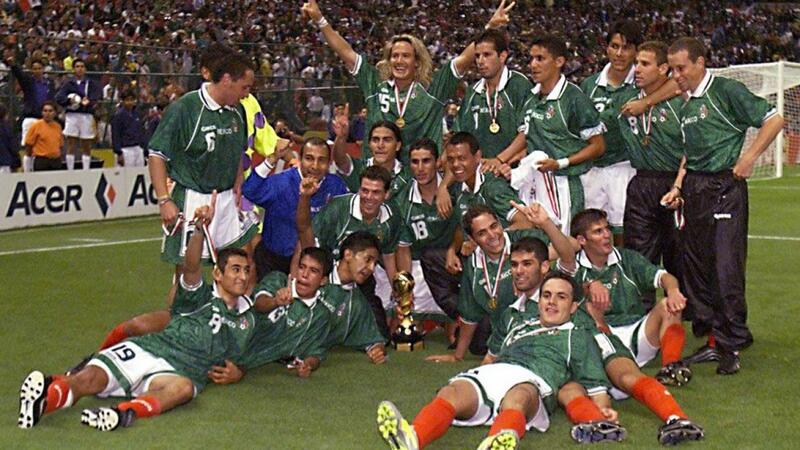 The tournament was hosted by Mexico between 24 July and 4 August 1999. It was won by Mexico, who beat Brazil 4–3 in the final. 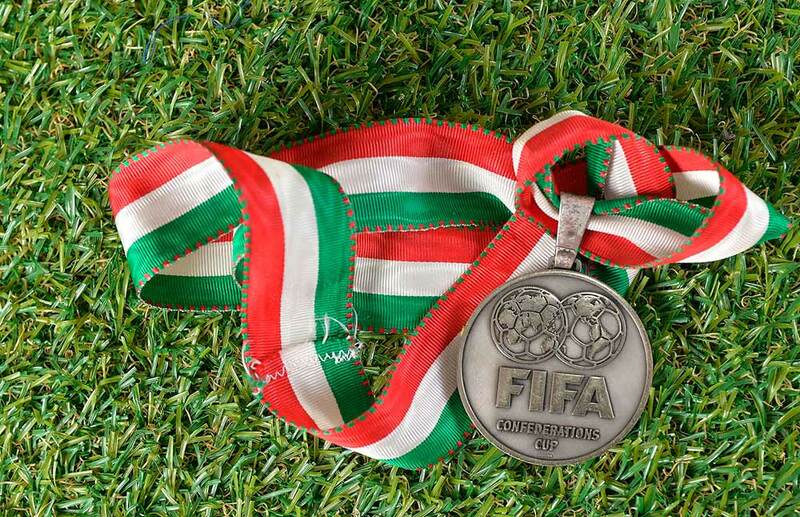 Mexico became the first host nation to win the FIFA Confederations Cup. The competition was to originally be held in three stadiums, in three cities in the country. However, since the stadiums in Monterrey were sponsored by a competing beer company other than the official advertiser, the city was left out of the tournament altogether. The tournament was organized in two groups of four teams, in which two teams from both groups advanced to the semi-finals. 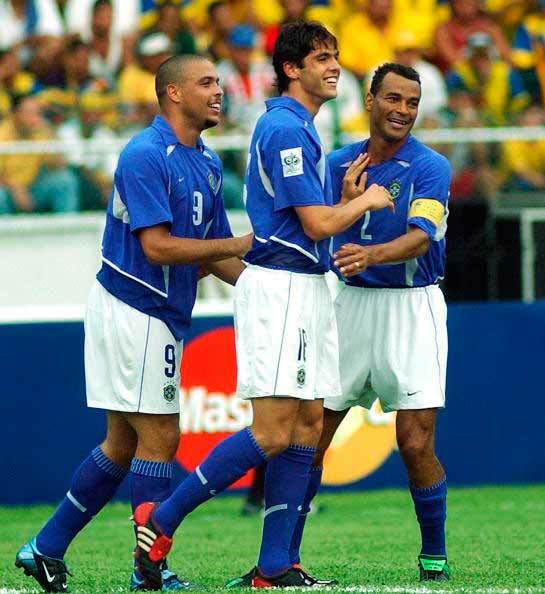 Prior to the 2002 World Cup, Romário, aged 36, was in considerably good form while playing for Vasco da Gama, but once again he was left out of the national squad by coach Luiz Felipe Scolari due to indiscipline. 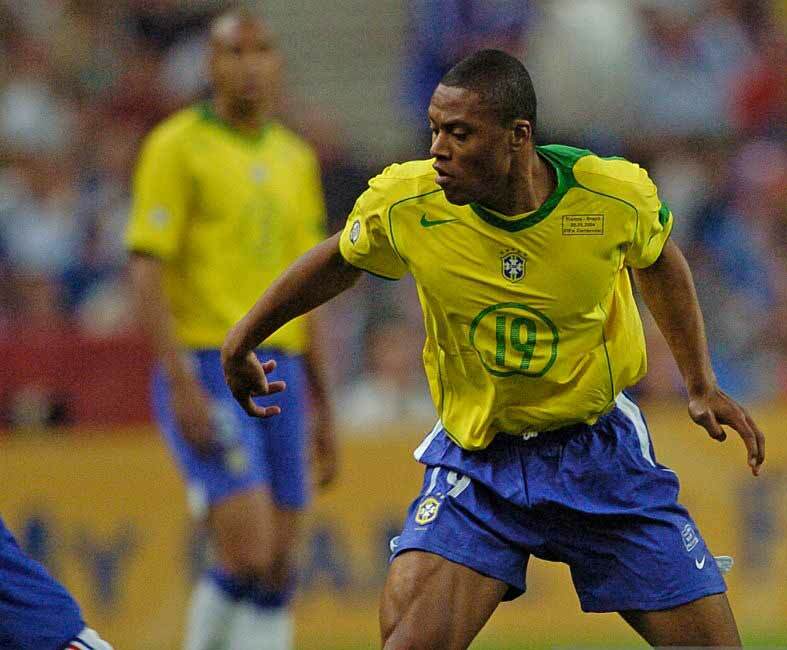 The final incident happened when he pulled out of the Brazil squad for the 2001 Copa America in Colombia. He told Scolari that he was having an eye operation, but he played friendlies for club side Vasco da Gama in Mexico and went on holiday instead. The entire country, including President Fernando Henrique Cardoso, called for his inclusion, and Romário gave a televised news conference in which he made his case and apologized, bursting into tears three times, though he said he couldn’t remember doing or saying anything against the manager and the players. 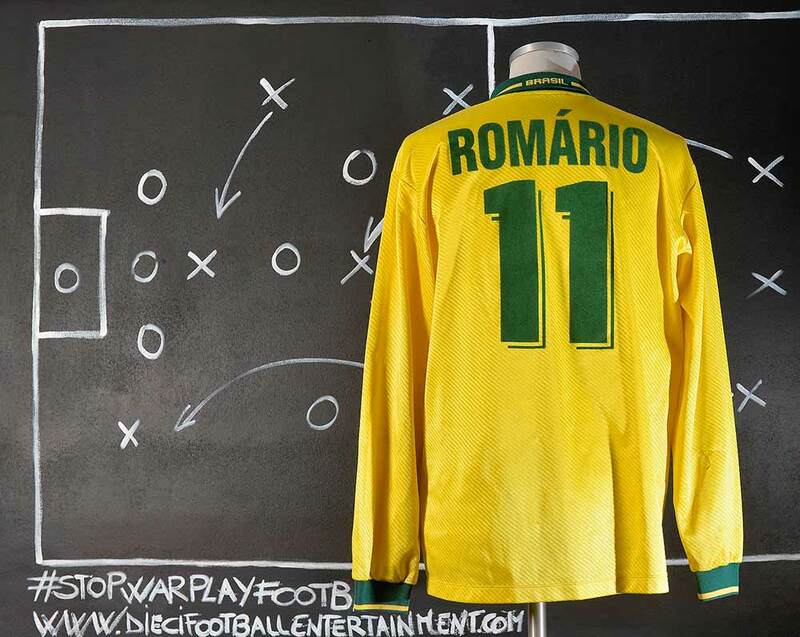 The BBC’s South American football correspondent, Tim Vickery, called Romário’s news conference “bizarre” and reported that there were “increasingly credible rumours” that “senior players asked Scolari not to recall the veteran striker”. Scolari was unmoved and did not pick him, saying before his squad announcement that Romário’s exclusion was “technical and tactical”. After the announcement, he said that it was as a result of Romário’s withdrawing from the Copa America: “People forget the details, but I do not. I almost got fired from the national team after [the Copa America].” (Brazil had been beaten in the quarter-finals by Honduras.) 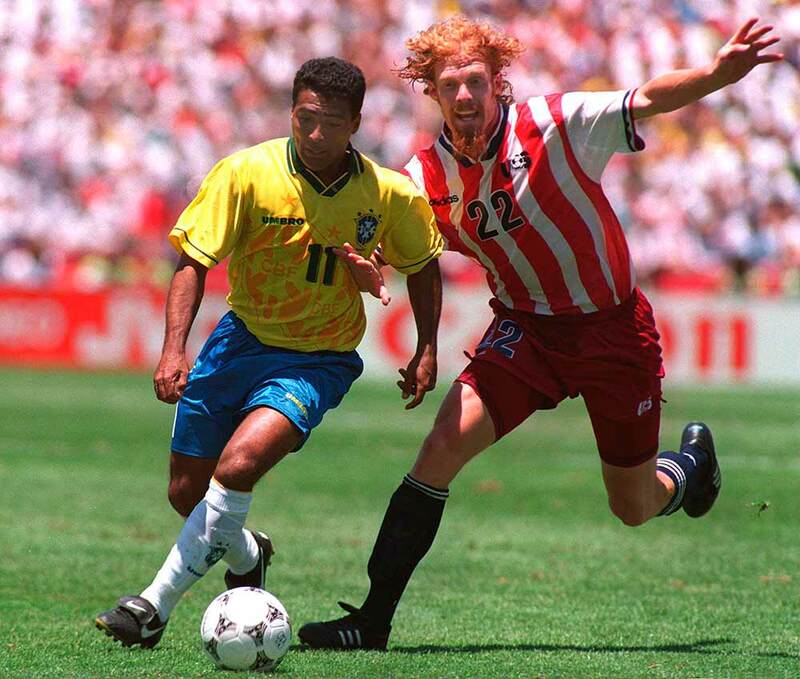 Asked if he would watch Brazil’s games on television, Romário, famous for late night partying throughout his career, replied: “The games start at six o’clock in the morning. At that time, I’m usually getting home.” Without Romário, Brazil went on to win the World Cup for the fifth time in history. 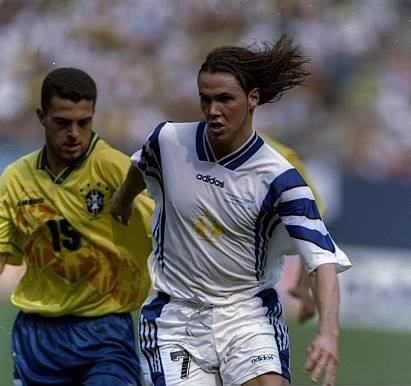 Marcos debuted for Brazil in a match against Spain on 13 November 1999. Previously, he was included in Brazil’s squad for the 1999 Copa América and the 1999 FIFA Confederations Cup as a second-choice goalkeeper. 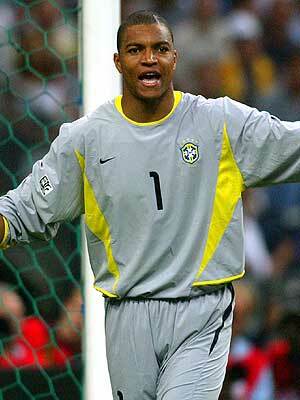 He remained as Brazil’s backup goalkeeper as Dida and Rogério Ceni were preferred ahead of him. 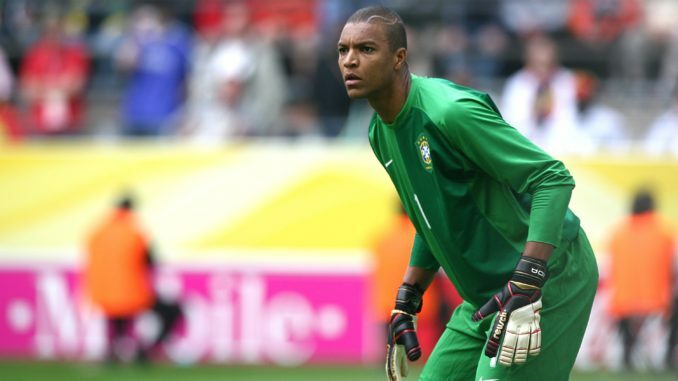 He became Brazil’s starting goalkeeper in the 2001 Copa América and retained that position after the tournament, relegating Dida to the bench. 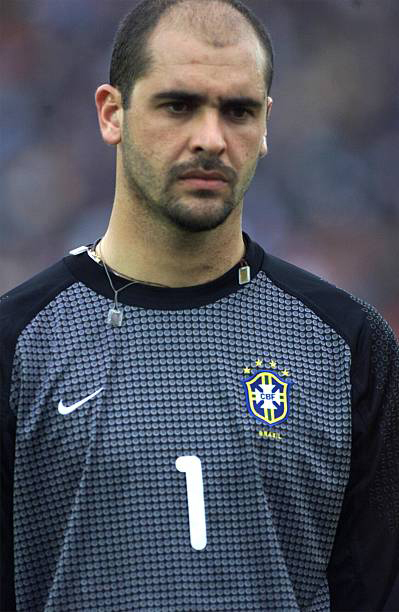 He was subsequently included in Brazil’s squad for 2002 FIFA World Cup as the first-choice goalkeeper, replacing Taffarel. 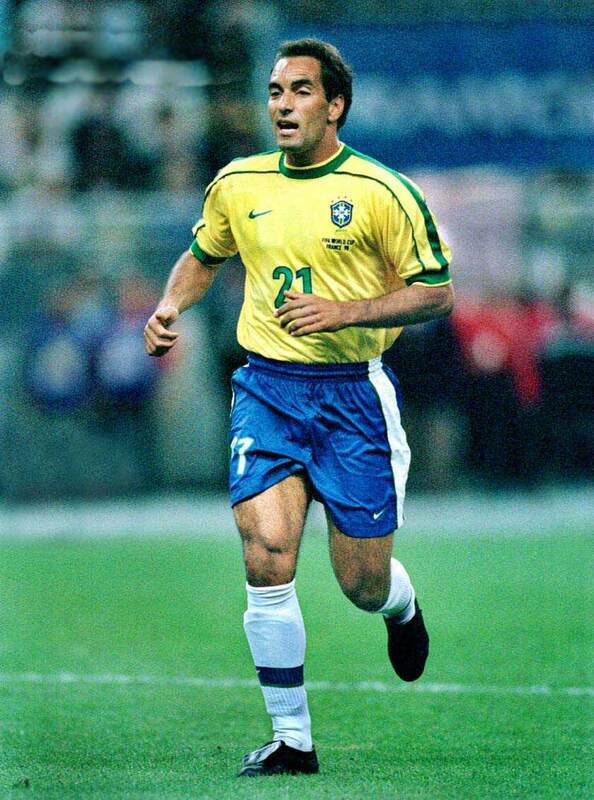 He started every game in the tournament and played every minute of Brazil’s matches in the tournament. 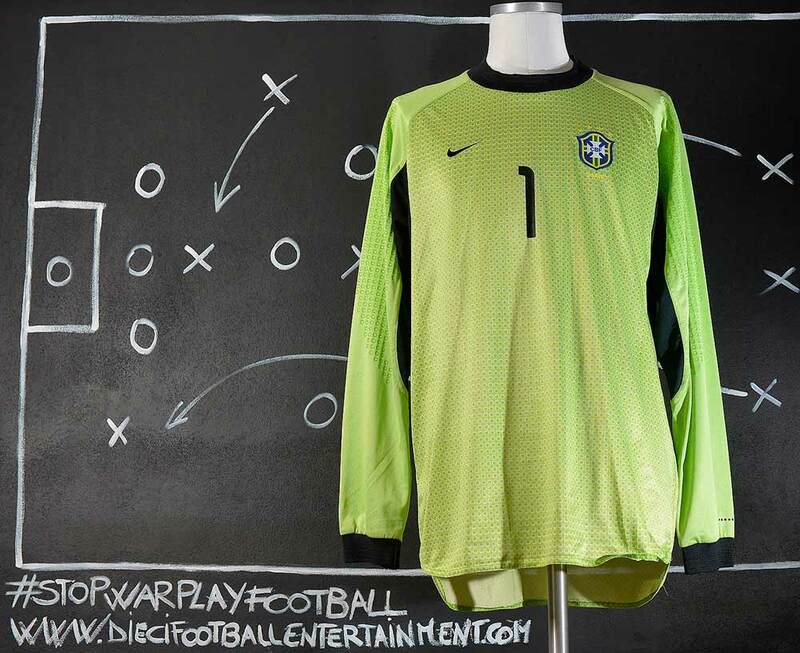 He had four clean sheets, conceded only four goals in seven matches, and was elected the third-best goalkeeper in the tournament, as Brazil won the World Cup for the record fifth time. 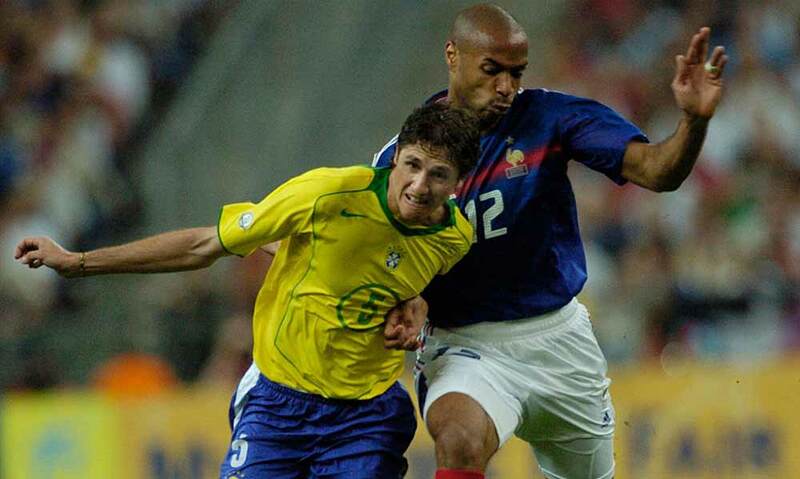 However, after a series of injuries that affected his career, Marcos lost his place in the team after the World Cup. 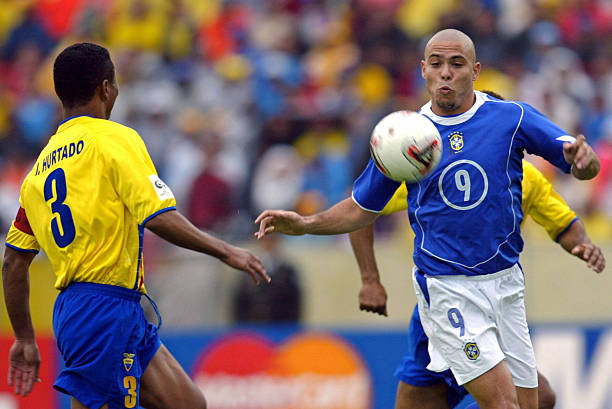 He made only four more international appearances after the World Cup, and was left out of Brazil’s squad for the 2003 FIFA Confederations Cup and the 2004 Copa América. In 2005, he was called again and included in the squad for the 2005 FIFA Confederations Cup. He made one appearance in the tournament, starting in a 2–2 draw against Japan during the group stage, which turned out to be his last appearance for Brazil. 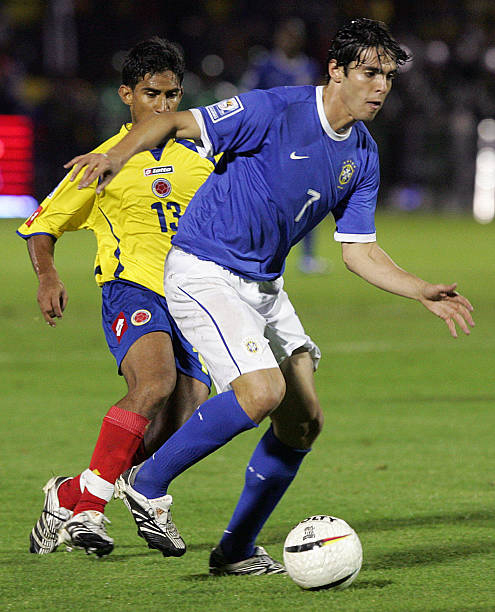 On 6 October 2005, Marcos announced his retirement from international football, but continued to play for Palmeiras, the only team he has played for in his career. 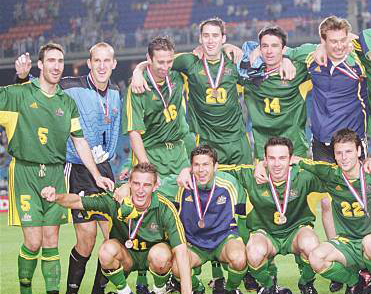 The 2001 FIFA Confederations Cup was the fifth FIFA Confederations Cup and the third to be organised by FIFA. It was also the first in which the original hosts, Saudi Arabia, did not participate (they were the nation who founded the tournament, previously known as the King Fahd Cup). 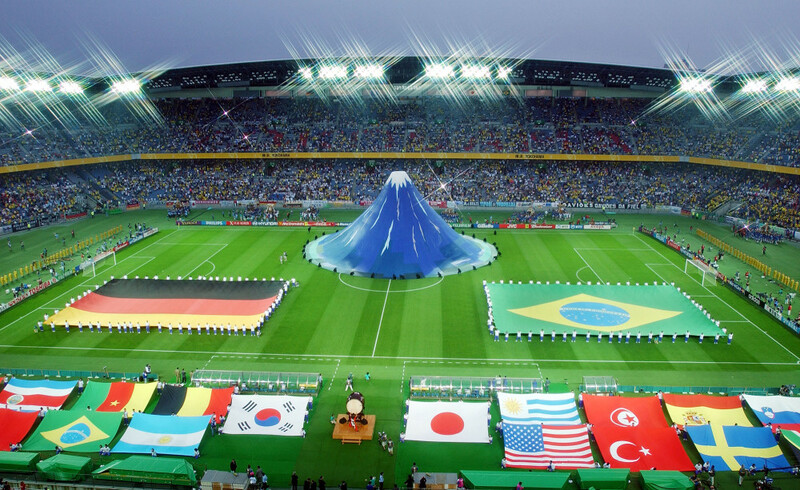 The tournament was played from 30 May to 10 June 2001, and co-hosted by South Korea and Japan, who were also hosts for the 2002 FIFA World Cup finals. 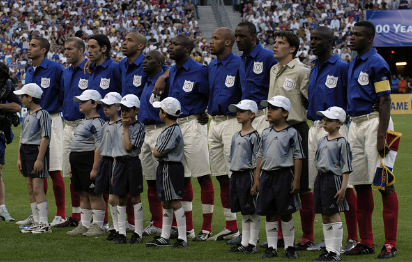 It was won by France, beating hosts Japan 1–0, with a goal from Patrick Vieira. 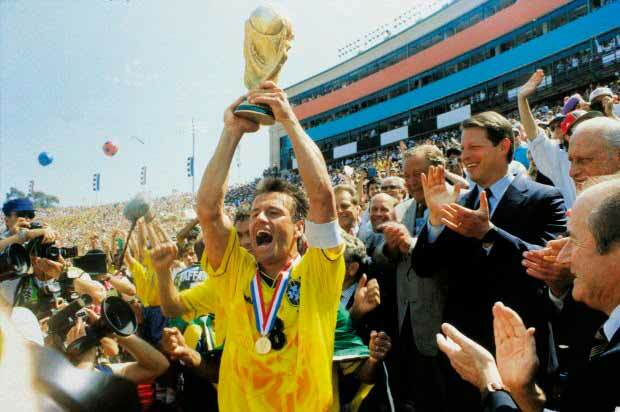 By winning the tournament, France became the second team to simultaneously be World Cup champions, continental champions and Confederations Cup winners, after Brazil in 1997. 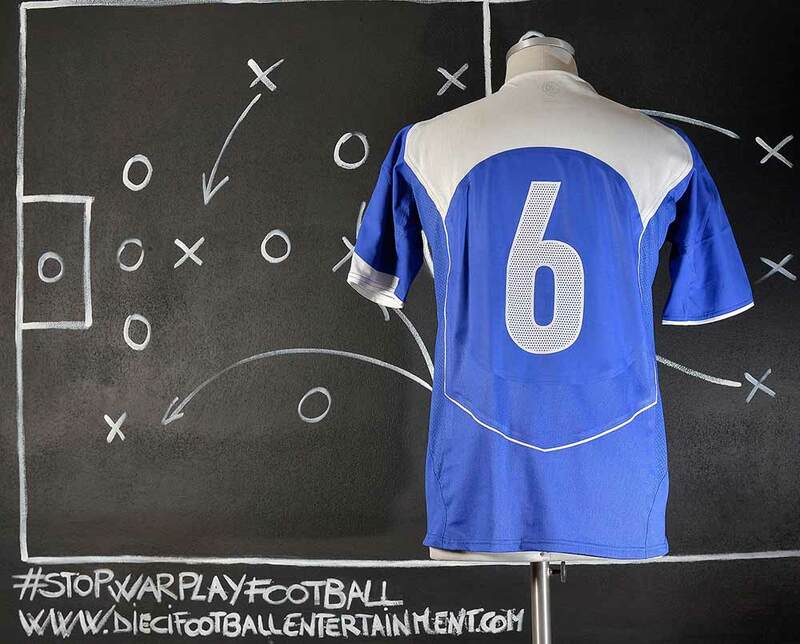 The eight teams were split into two groups of four, in which each team plays each of the others once, with the top two in each group advancing to the semi-finals. 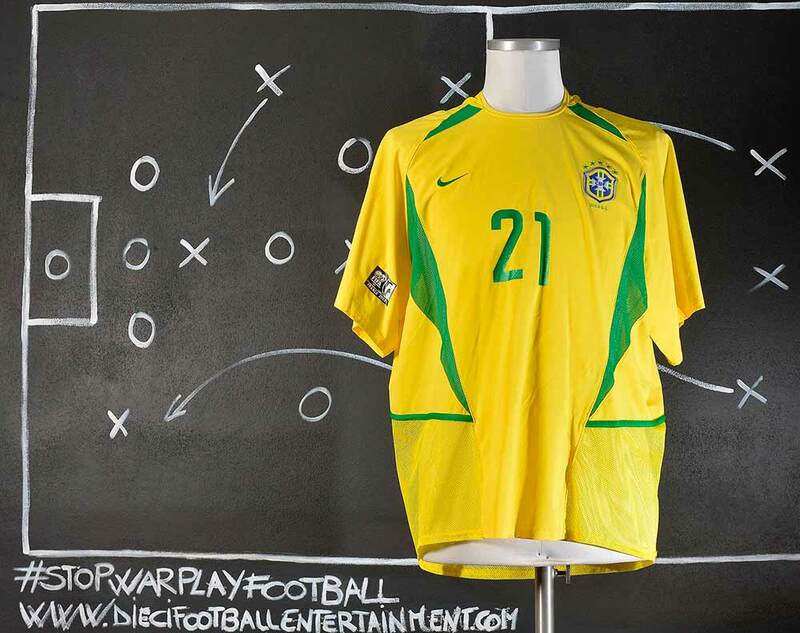 The Brazil team was defeated by France 2-1 in the semi-finals game and they played the third place play-off final against Australia. Australia won the bronze medal due a goal of the Australian player Murphy for the final 1-0 score. 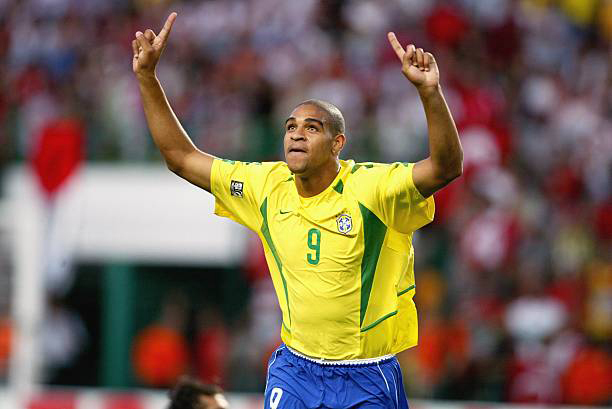 Denílson was picked by manager Luiz Felipe Scolari for his 2002 World Cup squad in Japan and South Korea. 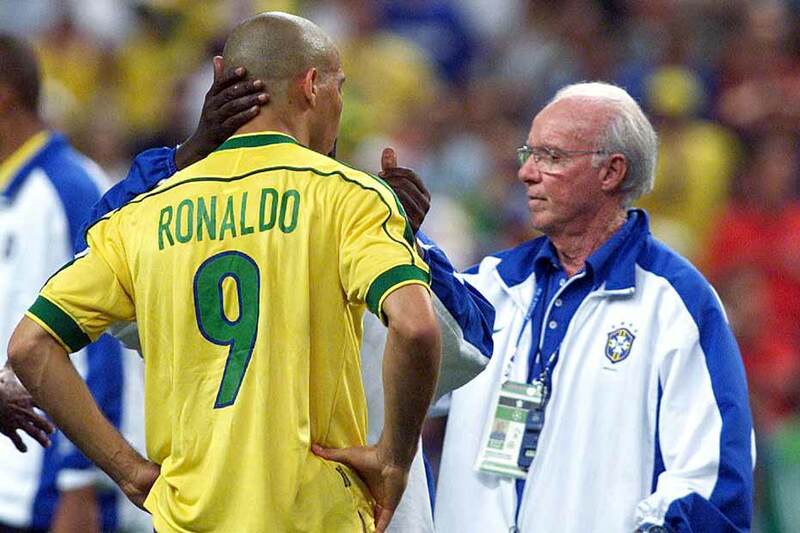 Always as a substitute, he played in five matches as the Seleção won its fifth World Cup, appearing one minute in the final against Germany. 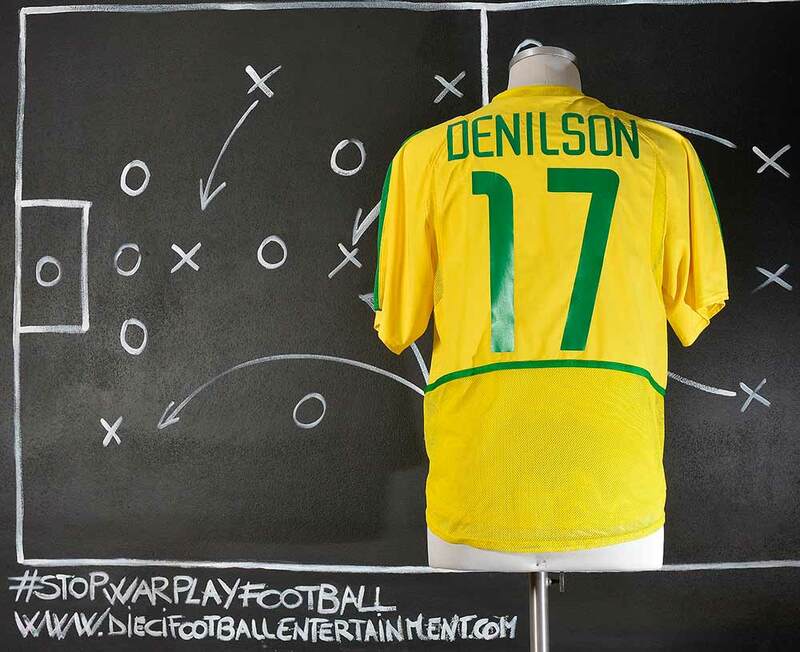 A creative and technically gifted left-footed player, Denilson was mainly known for his dribbling skills, in particular for his use of several feints to beat opponents such as the step over, which he frequently employed. Despite his talent, he was considered by some to not have fulfilled the potential he showed at the start of his career. 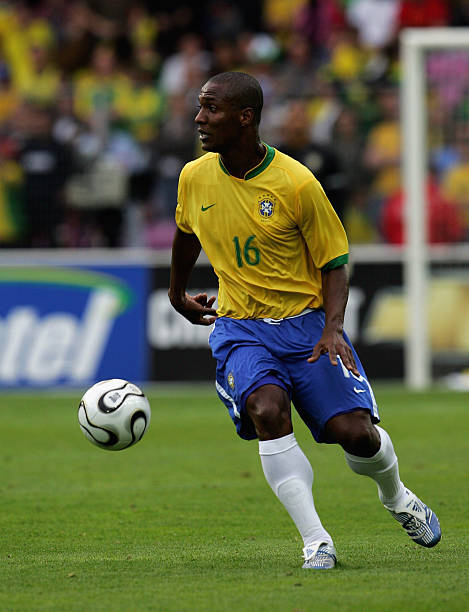 Denílson was sponsored by sportswear company Nike, and appeared in commercials for the brand. In a global advertising campaign in the run-up to the 2002 World Cup in Korea and Japan, he starred in a “Secret Tournament” commercial (branded “Scorpion KO”) directed by Terry Gilliam, appearing alongside football players such as Fabio Cannavaro, Hernán Crespo, Edgar Davids, Rio Ferdinand, Luís Figo, Thierry Henry, Gaizka Mendieta, Hidetoshi Nakata, Ronaldinho, Ronaldo and Francesco Totti among others, with former player Eric Cantona the tournament “referee”. The match ball for the Fifa World Cup 2002 was the Adidas Fevernova, a ball specifically made for the event. The ball’s design was different from the normal “Tango” type of three-pointed shapes connecting each hexagon, instead introducing a different, triangle-like shape on four hexagons. This look and color usage was entirely based on Asian culture. It also featured a refined syntactic foam layer, to give the ball superior performance characteristics, and a three-layer knitted chassis, allowing for a more precise and predictable flight path. However, this ball was notoriously criticized for being too light, yet some spectacular goals were scored with it during the tournament. 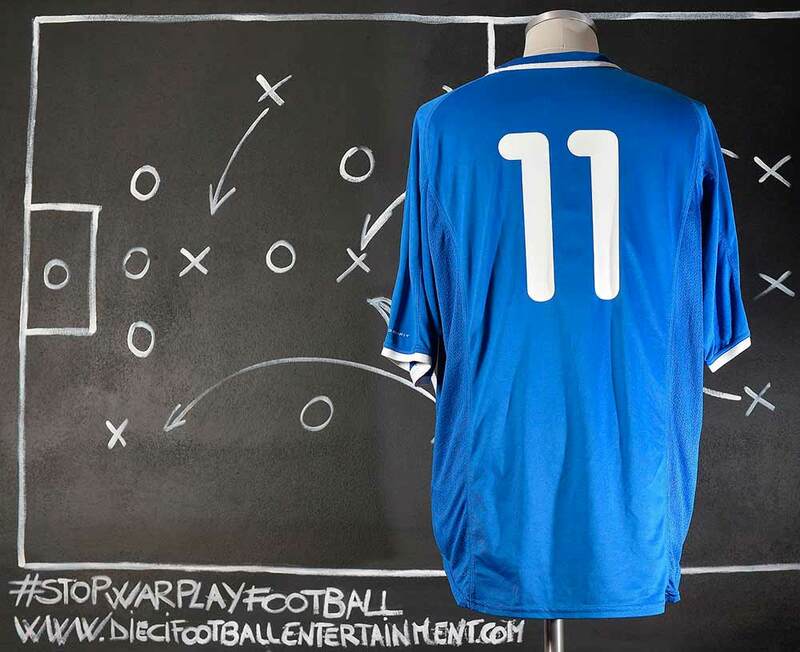 The ball was also blamed for a number of upsets that happened in the knockout stages. 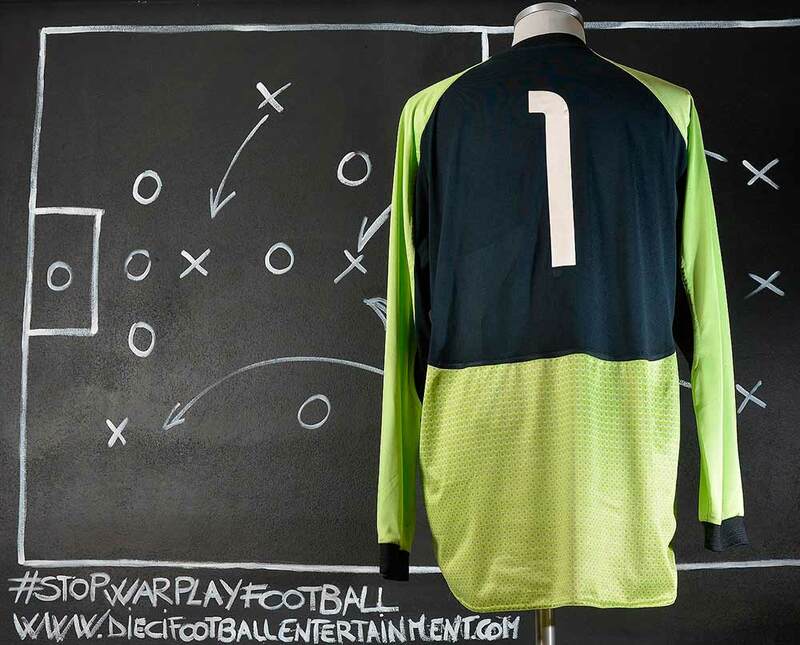 Italian goalkeeper Gianluigi Buffon called the ball “a ridiculous kiddy’s bouncing ball,” while Brazil’s Edilson criticized the ball as being “too big and too light”. 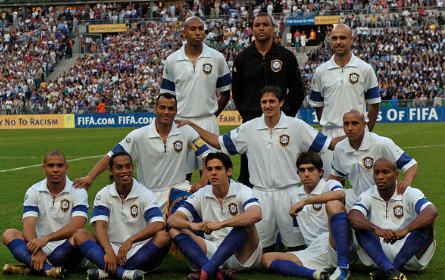 With his success at Corinthians gaining the attention of Luiz Felipe Scolari, who had replaced Luxemburgo following Brazil’s lackluster qualification, Dida was called up for the 2002 World Cup held jointly in South Korea and Japan, as the backup to Marcos, whom Scolari had previously coached at Palmeiras. Dida and third-choice Rogério Ceni never left the bench as the Seleção won its fifth trophy with a 2–0 defeat of Germany. 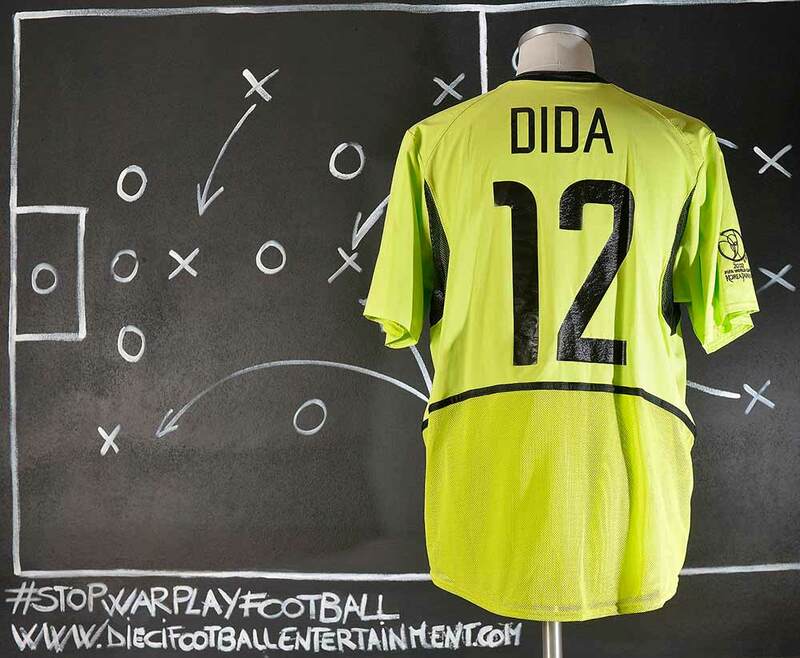 On the afternoon of the final, Dida was requested by Ronaldo to keep him company in hopes of avoiding a repeat of the events prior to the 1998 final, when Ronaldo had suffered a convulsive fit in his sleep that factored into his poor performance in Brazil’s loss. They spent the time talking and playing golf before departing for International Stadium in Yokohama. 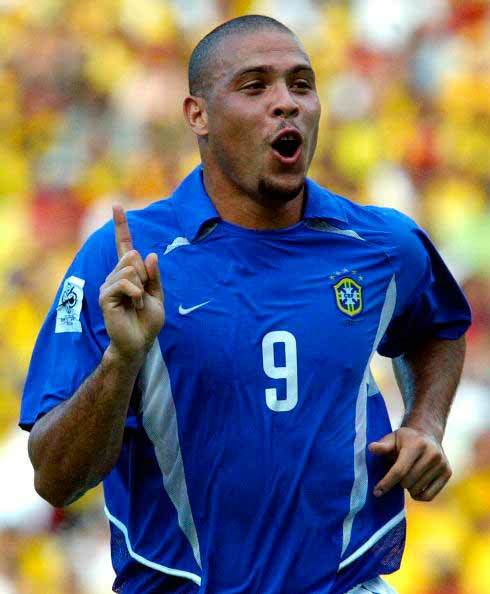 Ronaldo scored both goals in the 2002 victory and won the tournament’s Golden Shoe award. Anthem (The 2002 FIFA World Cup Official Anthem) by Vangelis is the theme song for 2002 FIFA World Cup held in South Korea and Japan. The single was commercially successful in Japan, being certified platinum for sales of over 100,000 copies. The single reached #89 position in the UK single charts. It received the “Song of the Year” award by RIAJ. 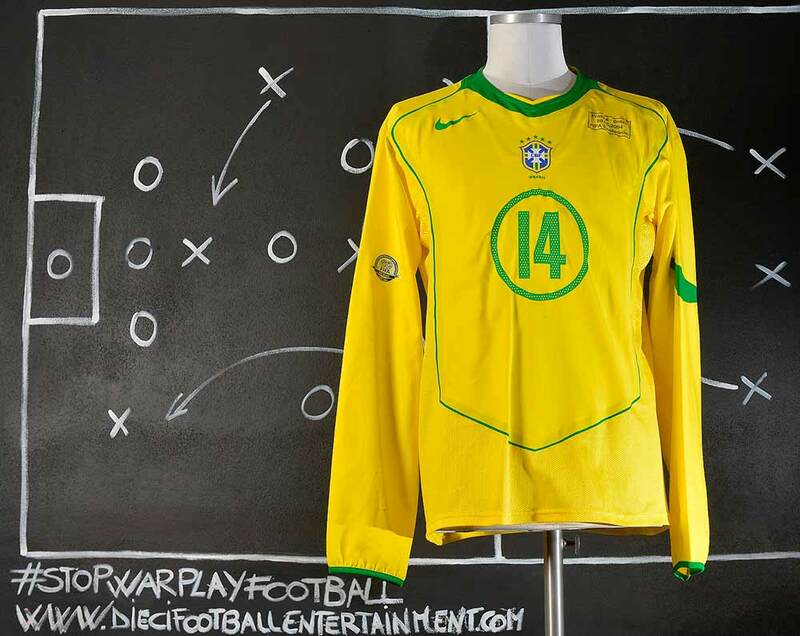 The versions were included in the official soundtrack Fever Pitch and The Official Album of the 2002 FIFA World Cup. 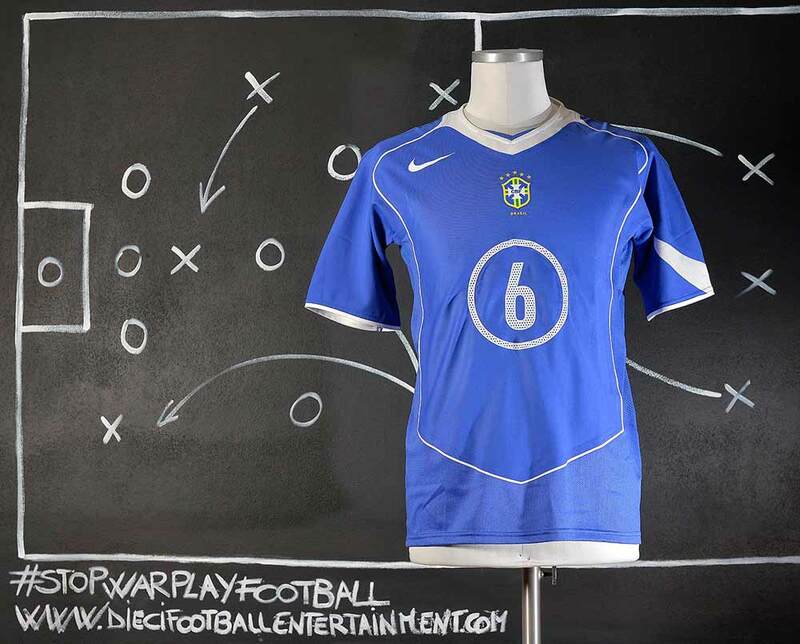 This shirt was worn by Ronaldo during a Fifa World Cup “Germany 2006” qualifying game. It supposed to have a badge on the sleeve which it doesn’t. 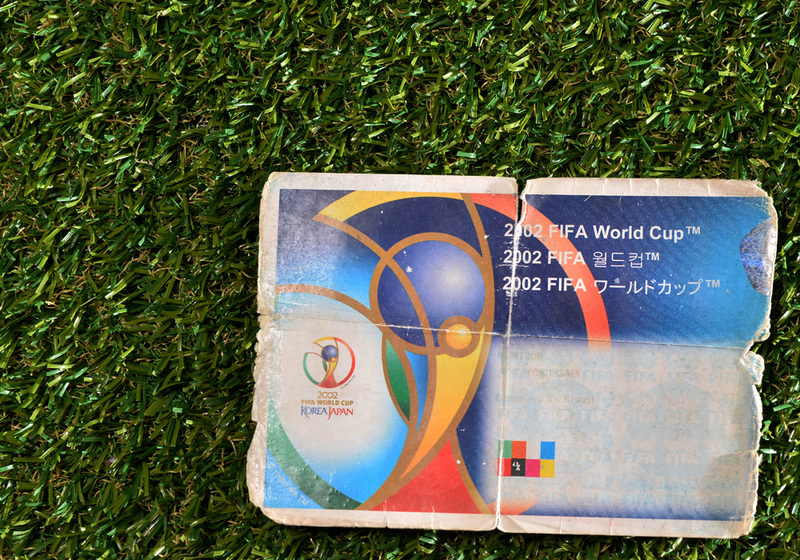 For the World Cup 2006 qualifying games was used by all teams a kind of ironed badge on sleeve that was easily falling down during the game as you can see from the Ronaldo’s image above. That was something really common to see in every game where only few badges were “surviving” until the end. 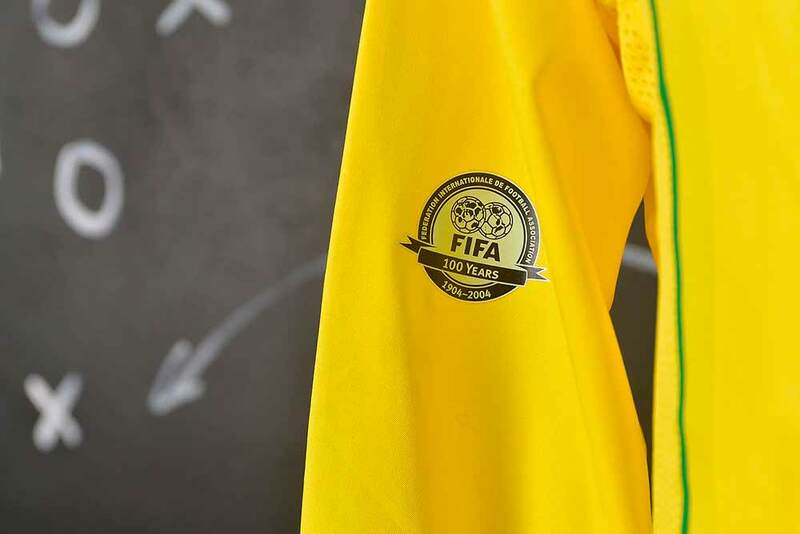 Fifa’s centenary has been done with all the branding brilliance of Manchester United – everything from coffee table books, cufflinks, gold ingots, medals and coins to Fifa pins, pens, umbrellas and mouse pads – and last night France v Brazil. The World Cup holders came to Paris to play the European champions here in Saint-Denis to remind us all that the likes of Ronaldo and Zinedine Zidane, pictured left teasing Juninho Pernambucano, command a status to which successive Fifa presidents, from the initiating Robert Guérin to Sepp Blatter, cannot aspire. The game, on the eve of today’s 100th anniversary of the world body’s founding, finished a 0-0 draw, the same score as in the first international between Scotland and England in 1872. 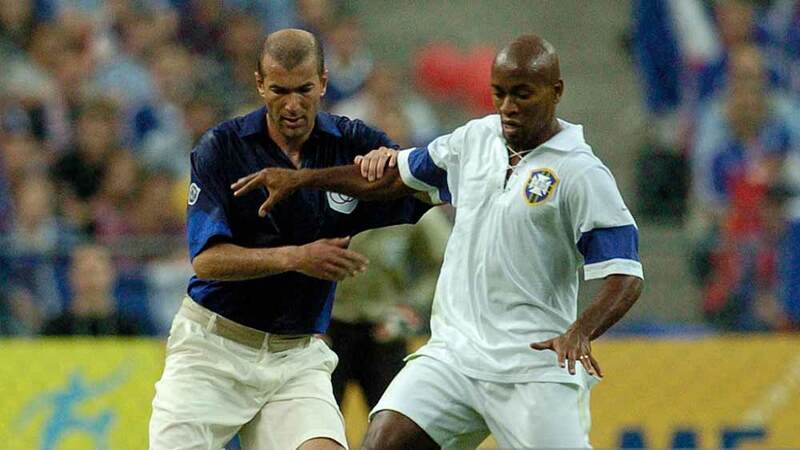 But the magical footwork of Zidane and Ronaldo, Thierry Henry and Roberto Carlos, said more about the beautiful game for the stadium-record 79,344 crowd than all the assembled dignitaries. “Of course, it’s a 0-0 draw . 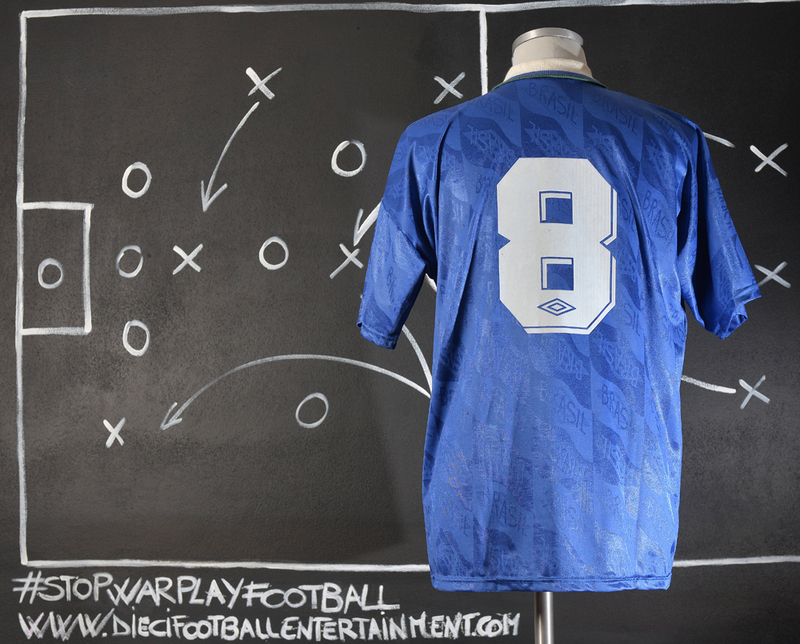 . . but it does not feel like it,” the Brazil coach Carlos Alberto Parreira said.France’s Marcel Desailly and Claude Makelele were booed by the crowd for their unsporting behaviour in Chelsea’s Champions League match in Monaco.On the field France began in a replica of the kit from their first match in 1904 – blue shirts with collars, a belt and long cream shorts with red socks. 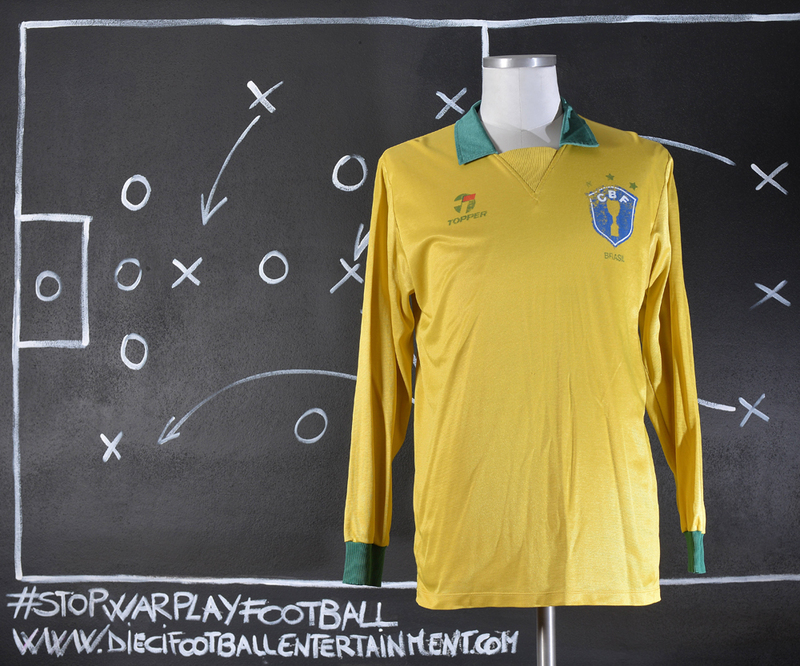 Brazil wore white shirts with lace-up collars and long white shorts with blue socks from 1914. In the second half both teams went back to their classic kits with extra badge on sleeve to celebrate the event. 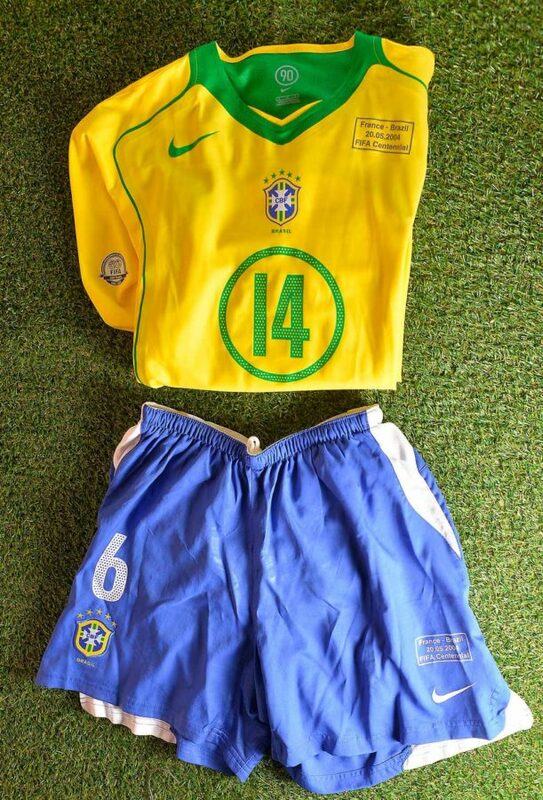 Fifa Centennial match Brazil’s kit used in the second half. 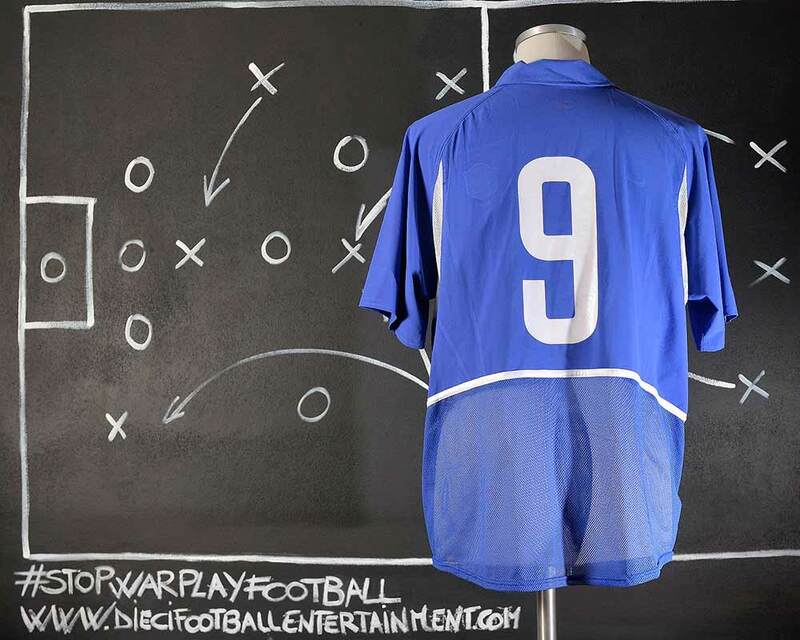 On May 20th 2004 the Fifa Centennial Match took place in Paris – Stade France to celebrate 100 Years of football. 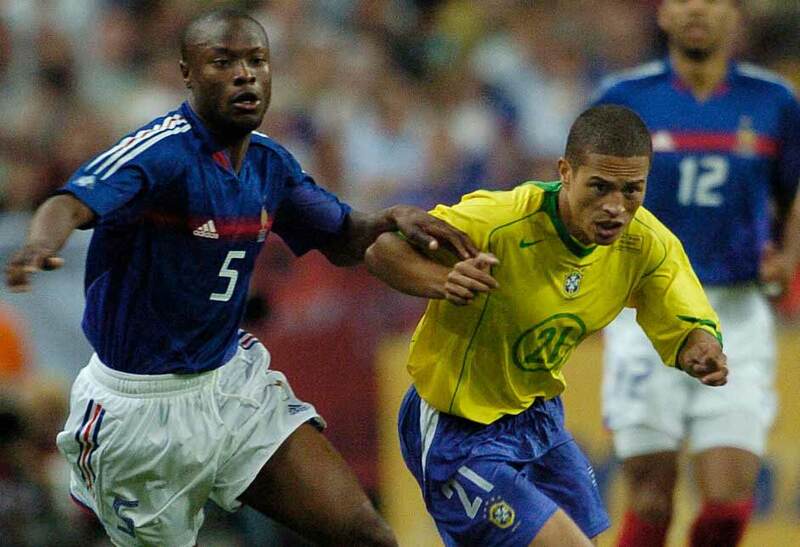 The game was played between France National Team and Brazil National Team. After the first half played by both teams with vintage kits, the second half was played with regular kits with special event’s badges on sleeves and on chest. 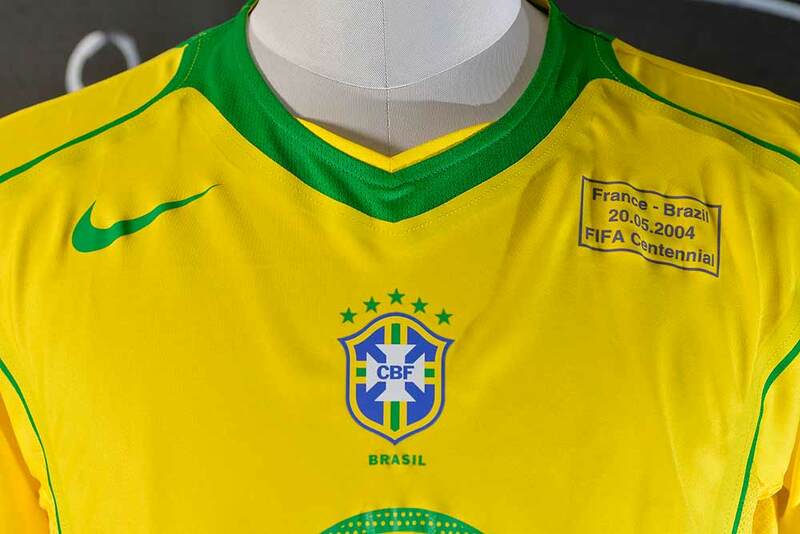 That was the first time that Brazil National Team played with match details on chest as many other team instead did before. 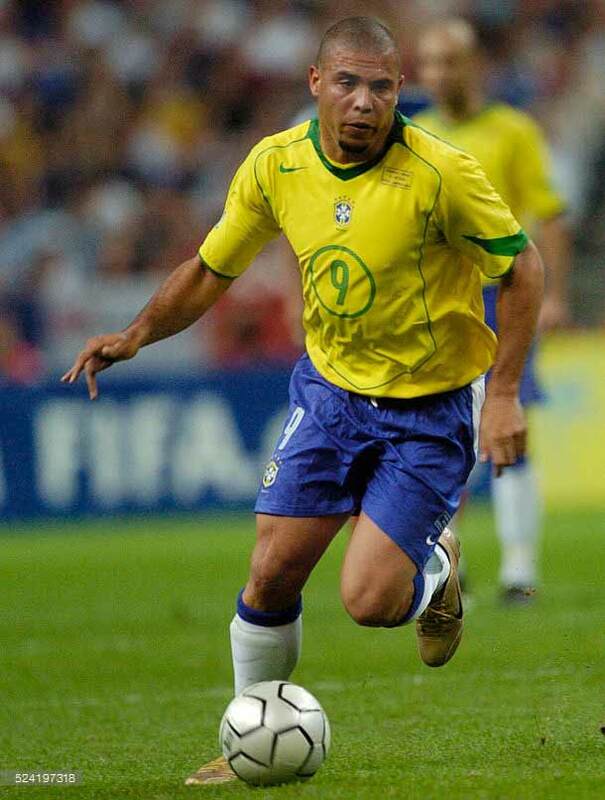 Ronaldo was the South American top scorer in Brazil’s qualifying campaign between 2004 and 2006, helping them to qualify in first place.On 2 June 2004, Ronaldo scored an unusual hat-trick of penalties for Brazil against arch-rivals Argentina in a 2006 World Cup qualifying match. 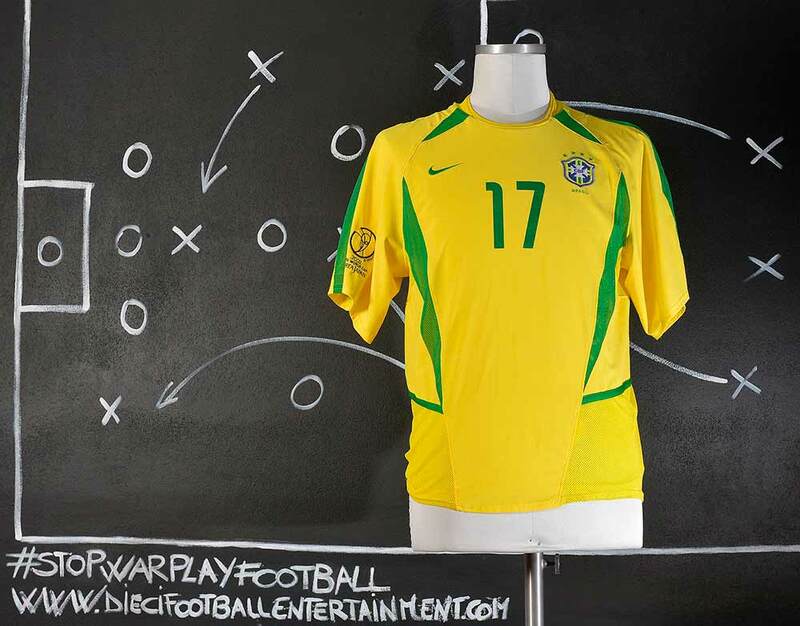 Football in Brazil is the #1 National sport. 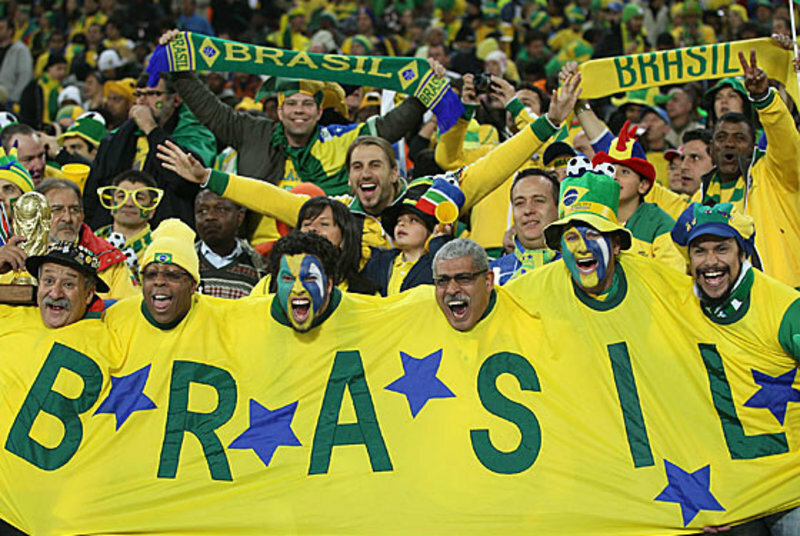 Brazilian fans are very well known for their amazing folkloristic way to support their team. 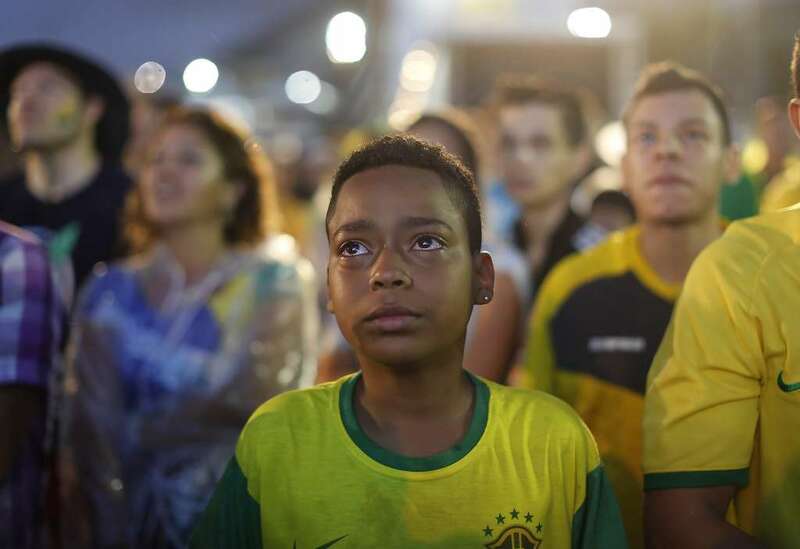 When the National team plays the whole country is stuck. 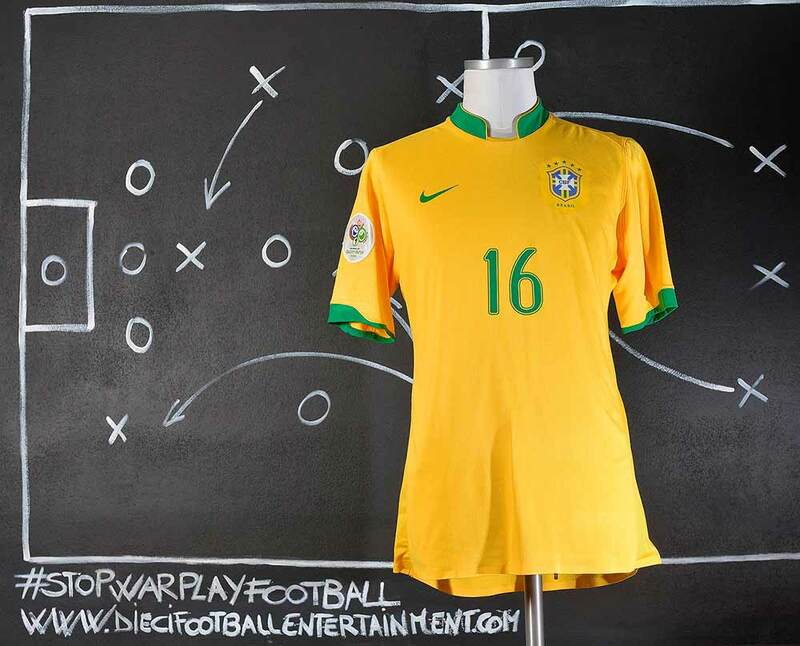 And when the team loses it’s a big thing, as it happened during the World Cup ‘BRAZIL 2014″ when Brazil was kicked out from the home World Cup by Germany Team. 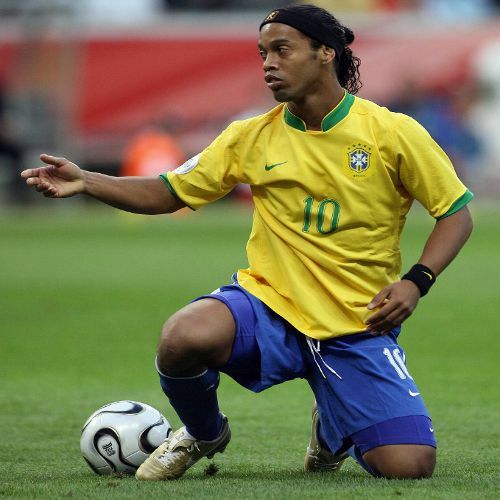 For the 2006 World Cup finals, Ronaldinho was part of Brazil’s much-publicized “magic quartet” of offensive players alongside Adriano, Ronaldo and Kaká, which was expected to provide the “Joga Bonito” style of play that was the focus of an extensive advertising campaign by Nike leading up to the tournament. 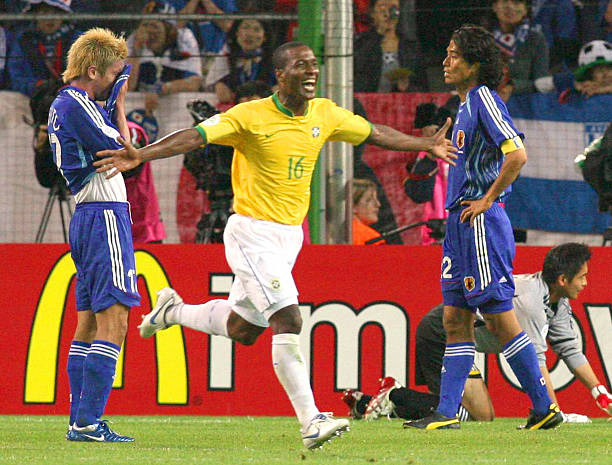 However, the group finished with only six goals in five games, with Ronaldinho himself going scoreless and finishing with only one assist (for Gilberto’s goal in a 4–1 group stage victory over Japan), as he turned in his worst collective performance in his international career. Brazil endured a disappointing campaign that culminated in a 1–0 loss to France in the quarter-finals, during which the Seleção had only one shot on goal for the entire match. The team was harshly criticized by Brazilian fans and media following their return home. On 3 July, two days after Brazil’s elimination, vandals immolated and destroyed a 7.5-metre (23-foot) tall fiberglass and resin statue of Ronaldinho in Chapecó. The statue had been erected in 2004 to celebrate his first FIFA World Player of the Year award. 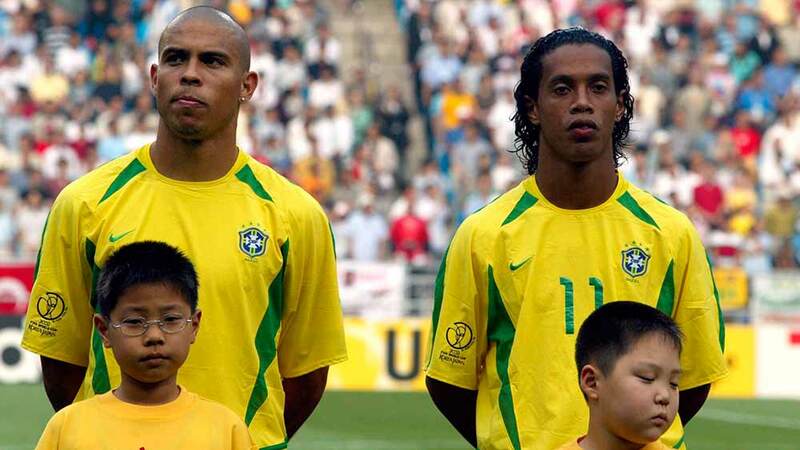 That same day, Ronaldinho, joined by Adriano, returned to the city of Barcelona and held a party at his home, which was continued into the early morning hours at a nightclub. This aggravated the hard feelings of many Brazilian fans, who believed that they were betrayed by the lack of effort from the squad. 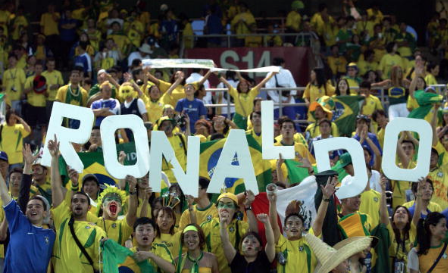 At the 2006 FIFA World Cup, Brazil participated for the 18th time in the event. The country remained as the only national team to have participated in every installment of the FIFA World Cup. 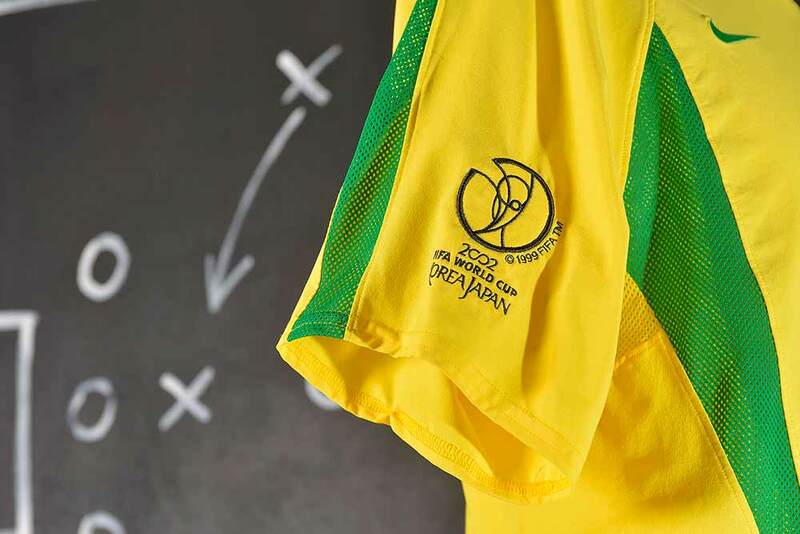 The Brazilian team played until the quarter-finals, where they were defeated by France, finishing the tournament in the fifth place — for the third time in history (1954 and 1986 were the previous instances). 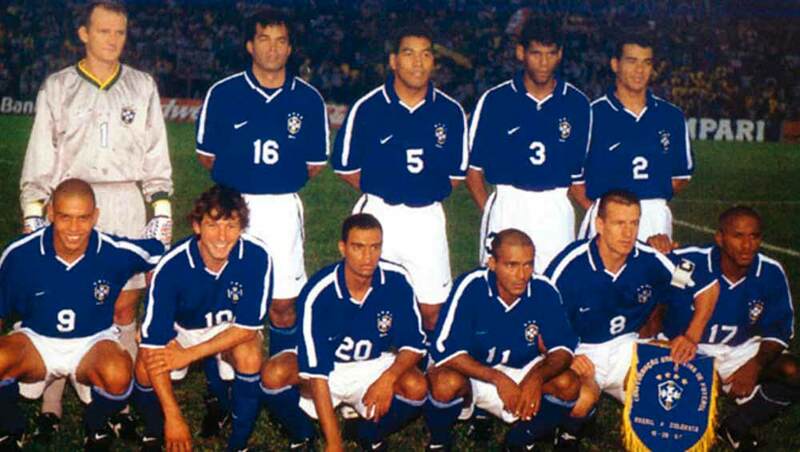 In 1998 was the first time that Gilberto had training with the national team, after a successful season. 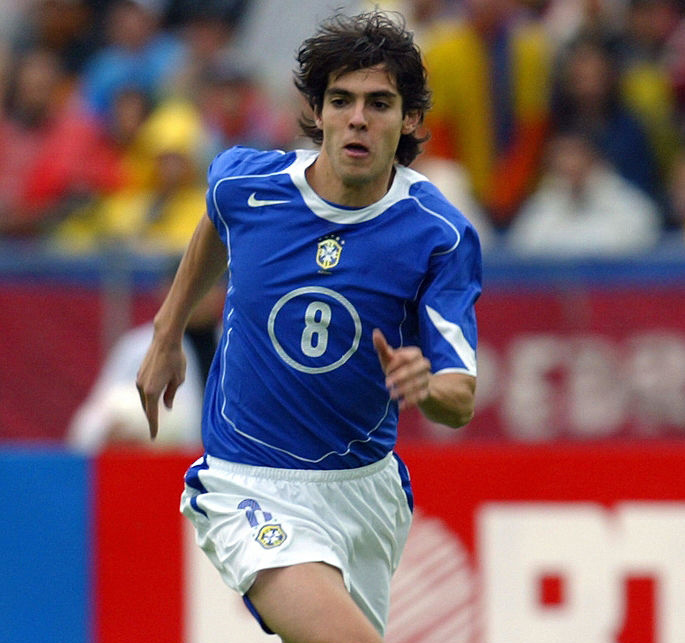 He played for Brazil in the 2006 FIFA World Cup in Germany and scored against Japan in the group stage, his first goal for the national side, having made his debut for the team against Nigeria on 11 June 2003. 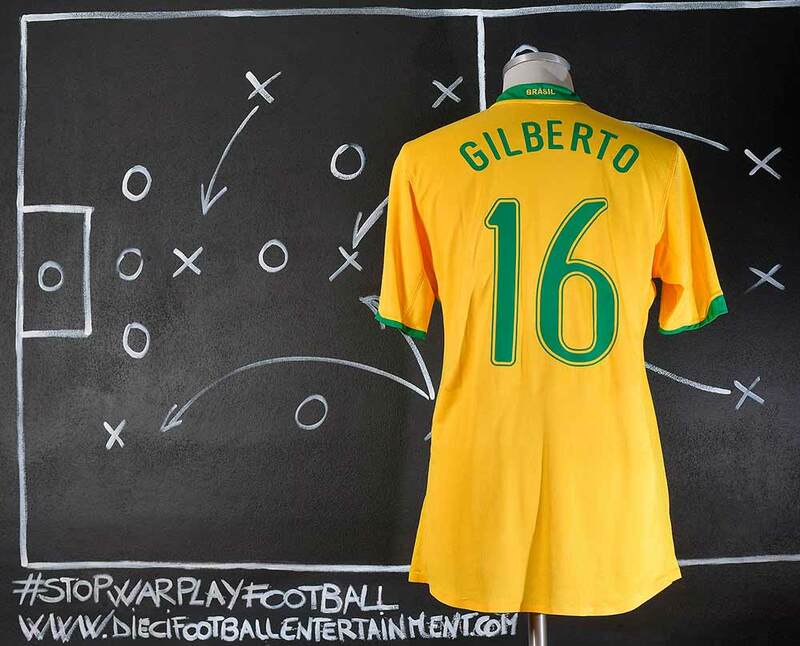 Gilberto also featured as Brazil’s first choice left back in the Copa America 2007. Due to club performance, he lost his place on the national team to Kléber, and then to André Santos, which both of them selected to 2009 FIFA Confederations Cup and left Gilberto out. However, he has been called up in February 2010 to a friendly match against Republic of Ireland since returned to Brazil. But he played as unused bench as Michel Bastos’s backup. Moreover, most of the 22-men squad for the Ireland match (except Adriano and Carlos Eduardo), plus Elano, Luís Fabiano (who both pull out from the friendly by injury) and Heurelho Gomes, became the provisional 23-men squad for the 2010 FIFA World Cup. And 7 more players were call-up as backup players. He played twice for the Seleção at the tournament, both as sub, including the match losing to the Netherlands in the quarter-finals. After the dismiss of Dunga, he never received any call-up again, and one year later, in 2011 he retired from the international football. 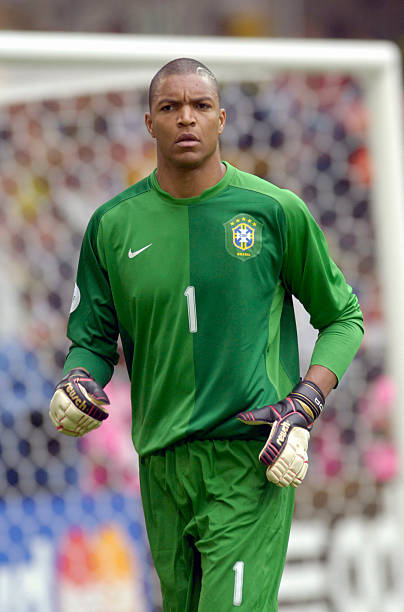 Júlio César spend the majority of 2006 FIFA World Cup qualification campaign on bench as Dida’s understudy, making only two appearances in both matches against Bolivia. He was included in the manager Carlos Alberto Parreira’s list for the final tournament, taking squad number 22 as the third keeper. 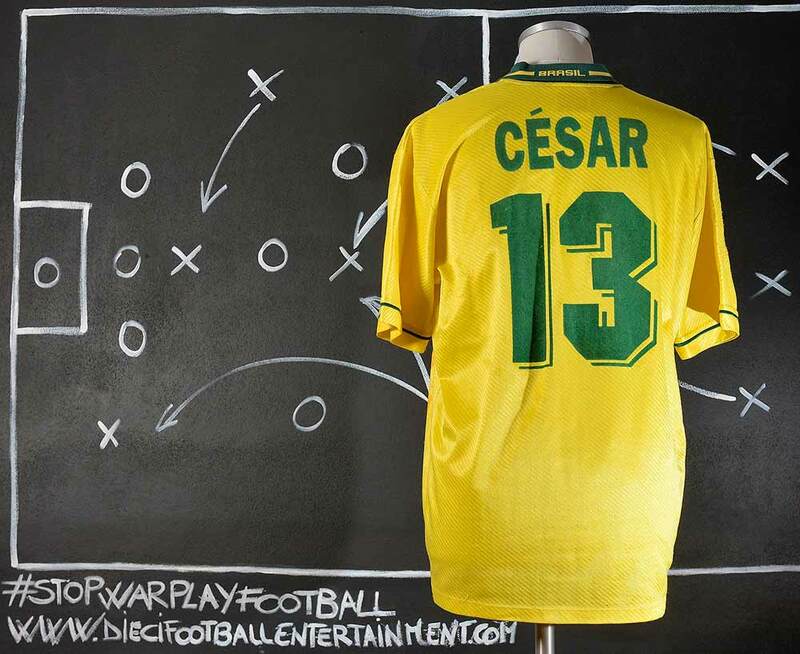 He didn’t play in the tournament as Brazil was eliminated in the quarter-final by France. 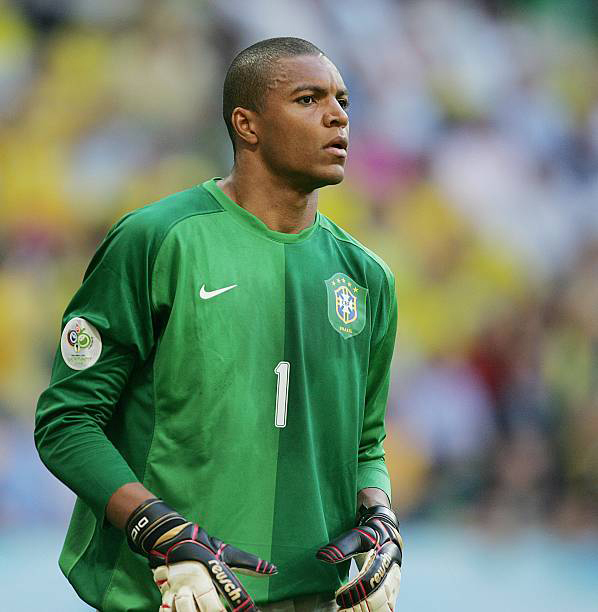 After the World Cup and the international retirement of Dida, the competition to became Brazil’s new first-choice goalkeeper began. He initially was out of favor, as new coach Dunga preferred Gomes, Helton and Doni ahead of him. However, he forced his way into the team and finally, he replaced Doni as first-choice goalkeeper in September 2007. Until that period, he had only 14 international caps to his name.